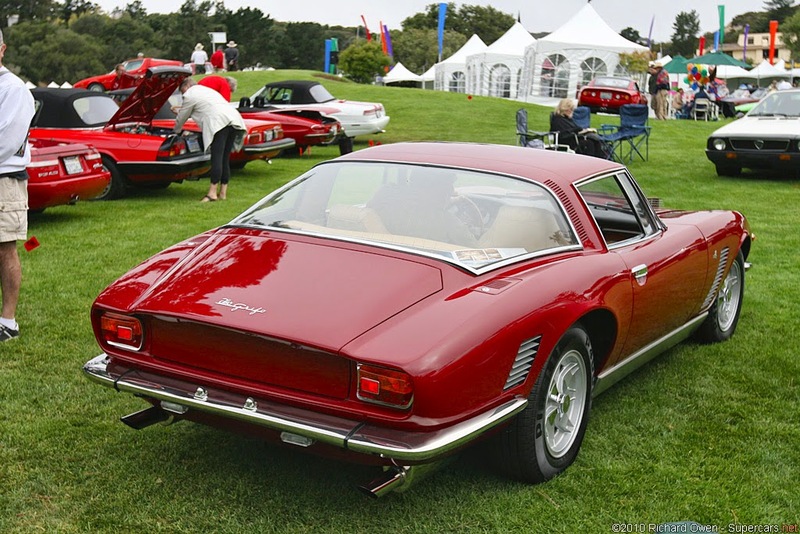 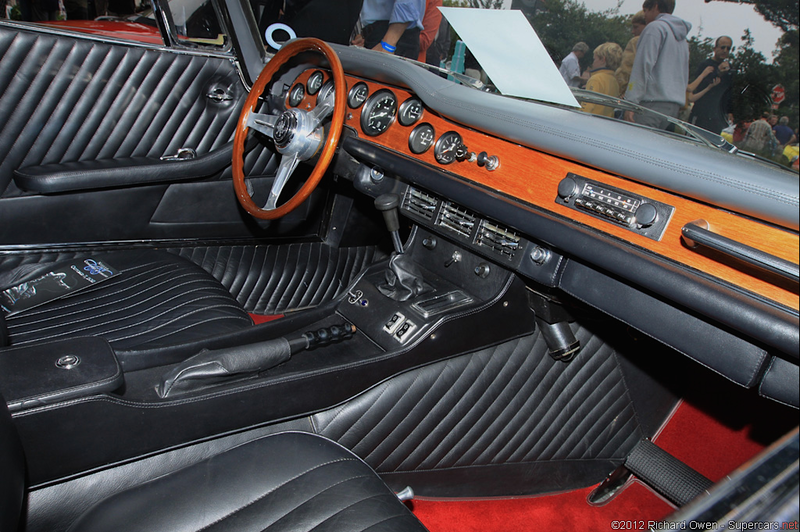 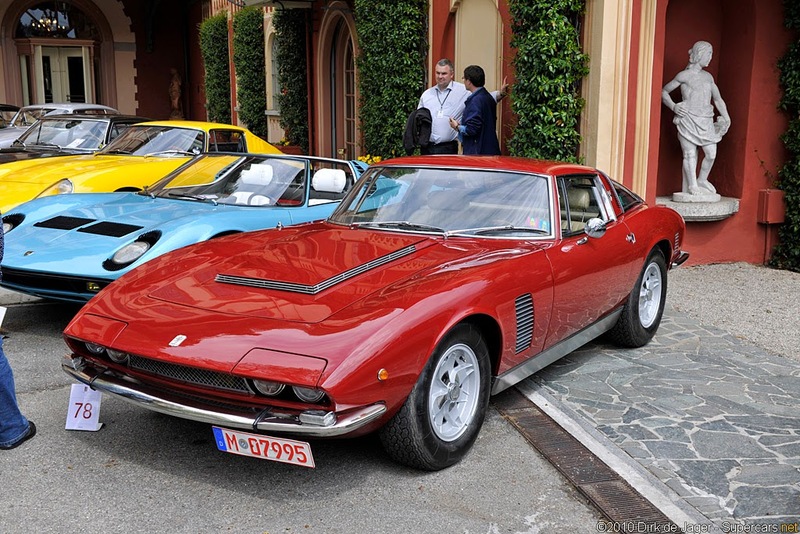 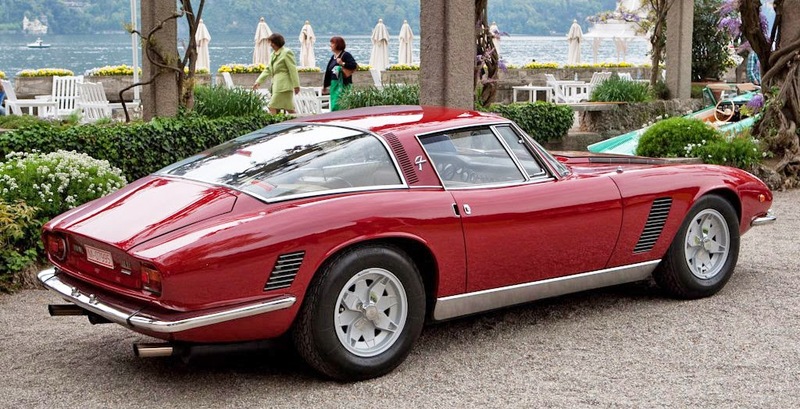 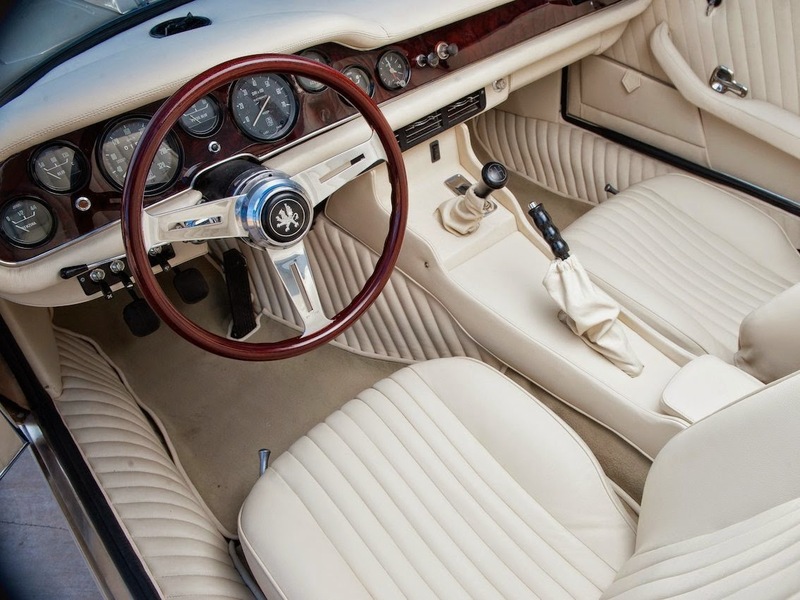 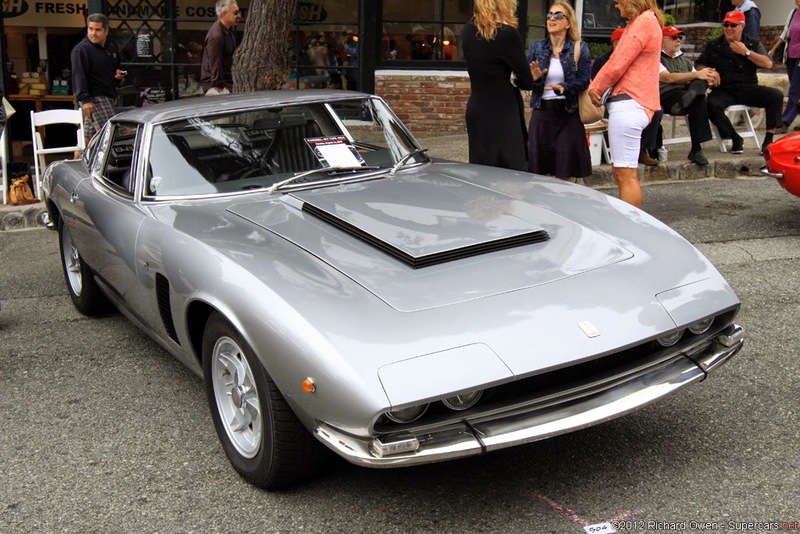 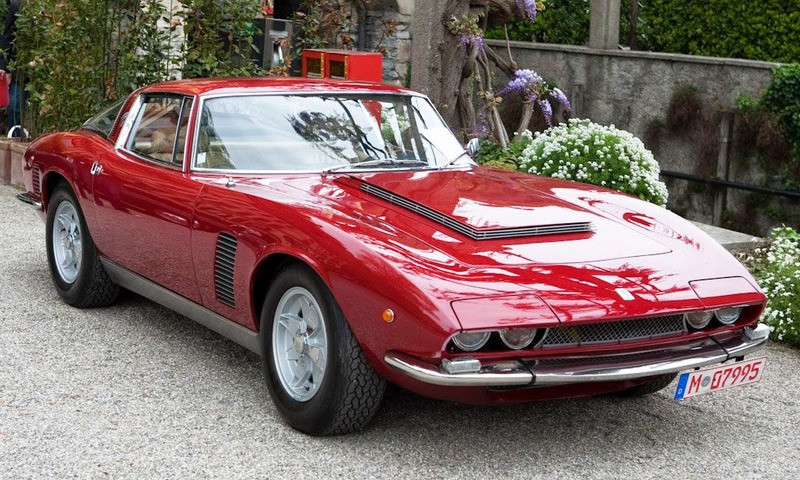 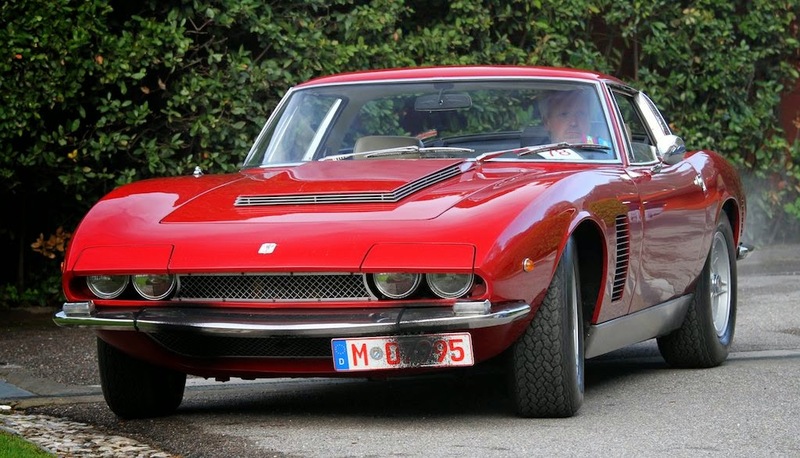 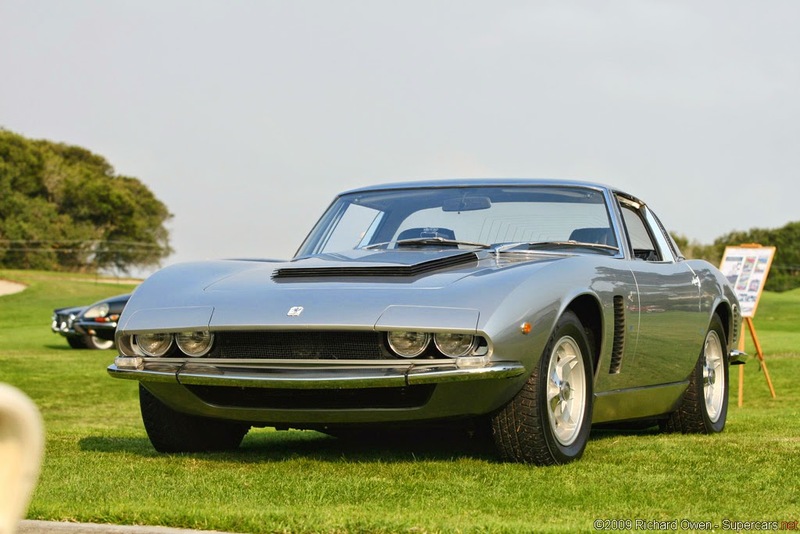 The Iso Grifo is an Italian automobile produced by Iso S.p.A. between 1963 and 1974. 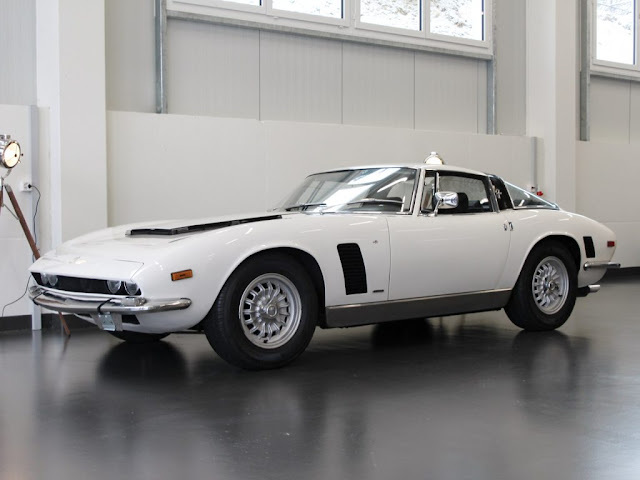 Also known as the Grifo A3/L or Grifo GL, this coupe was designed as a road-going version of ex-Ferrari engineer Giotto Bizzarrini's race car, the competition Bizzarrini A3/C. 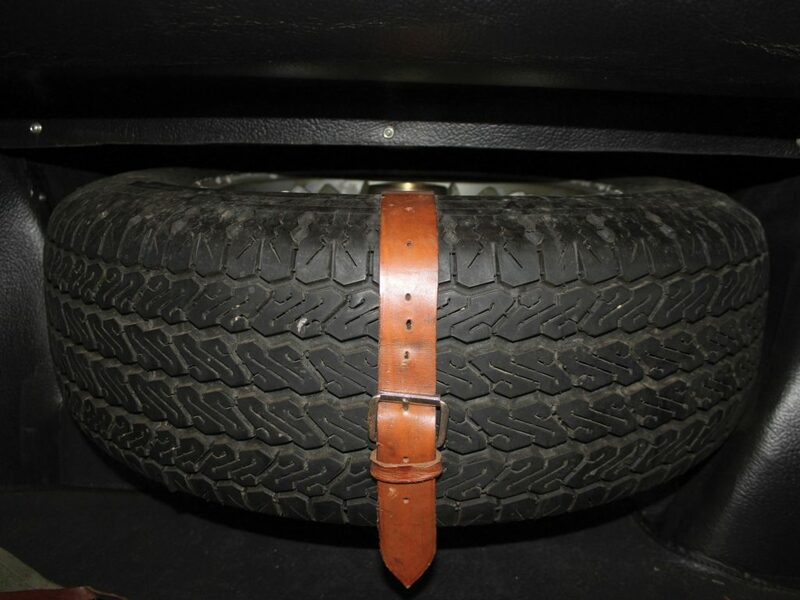 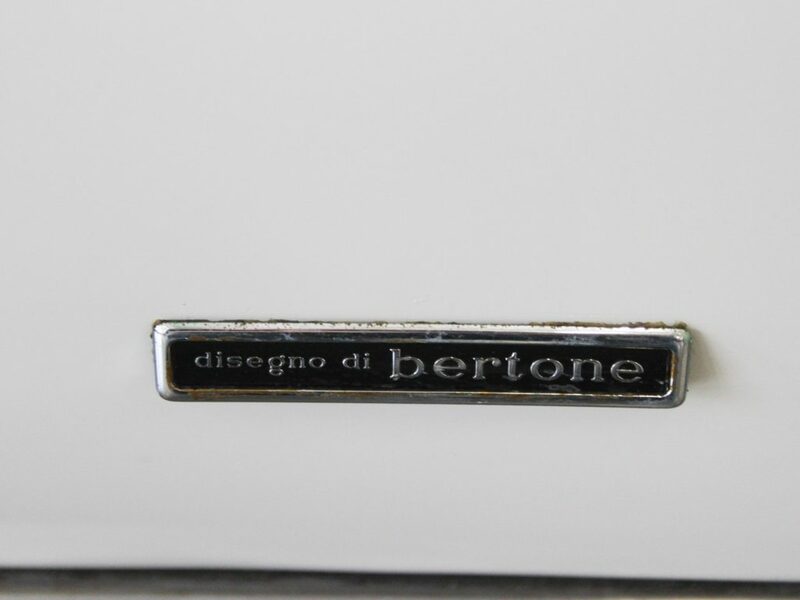 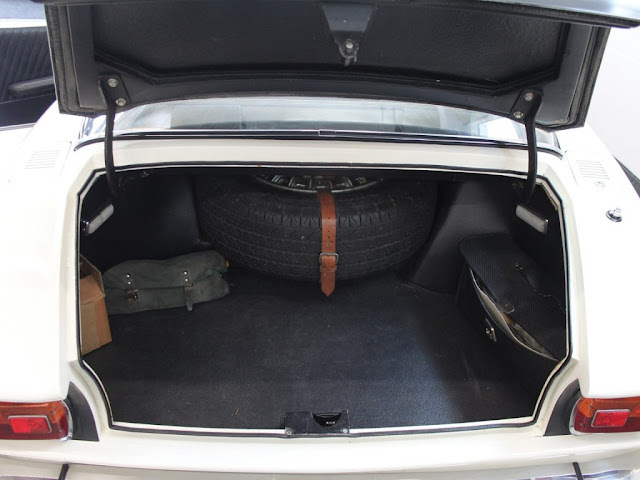 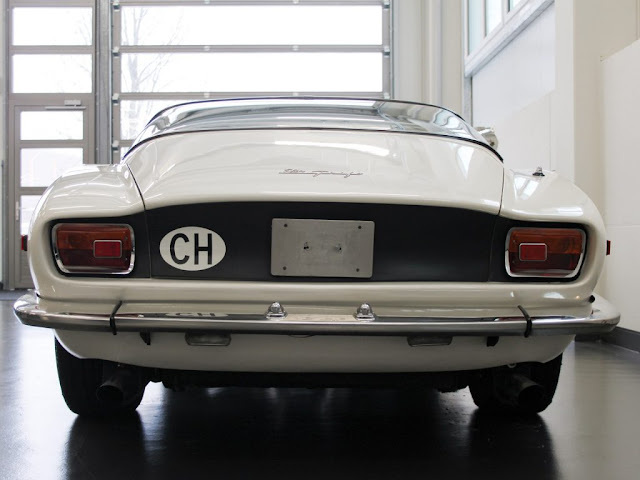 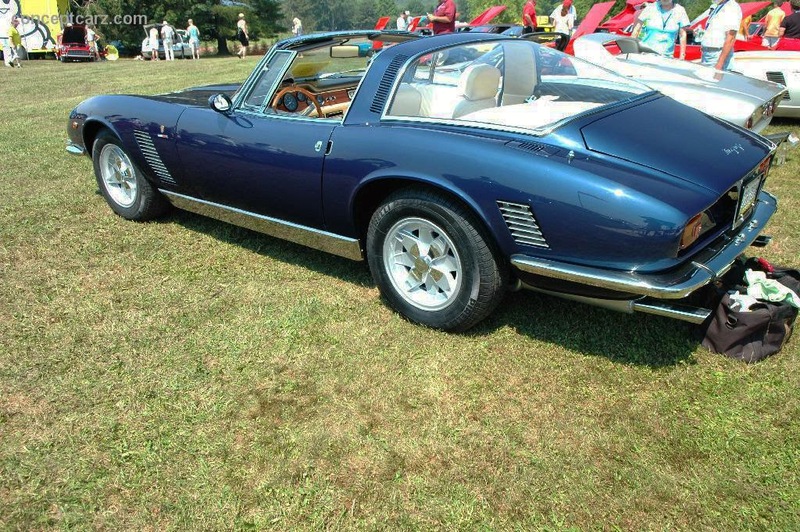 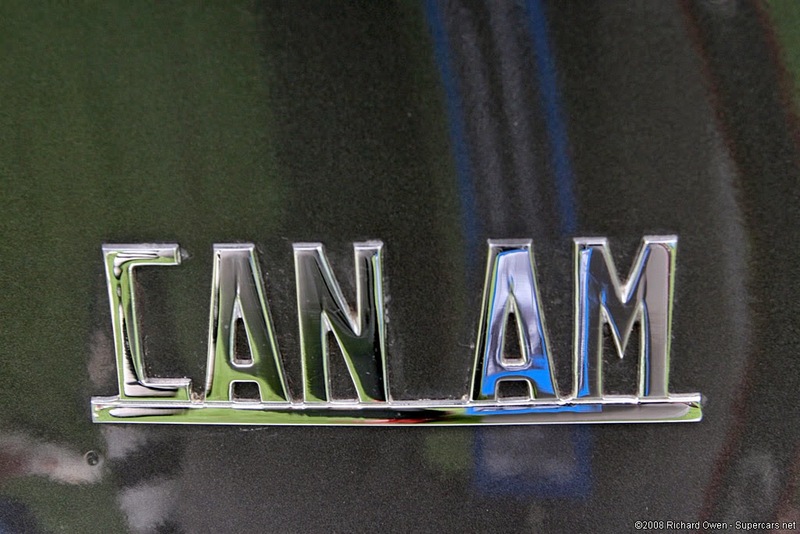 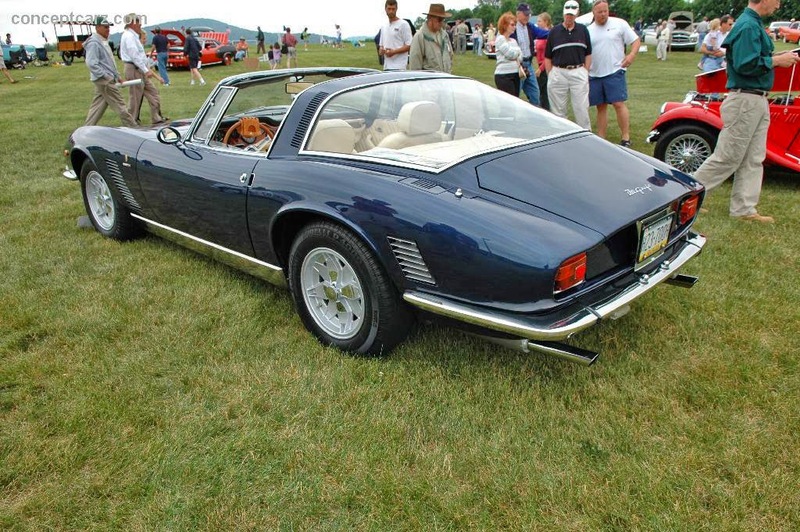 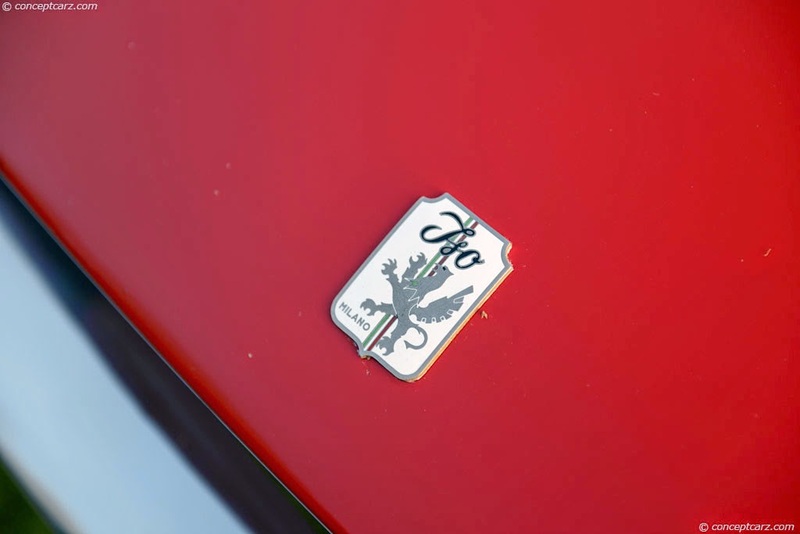 Its Bertone styling and race-bred pedigree made this model one of the little known treasures in the Italian market. 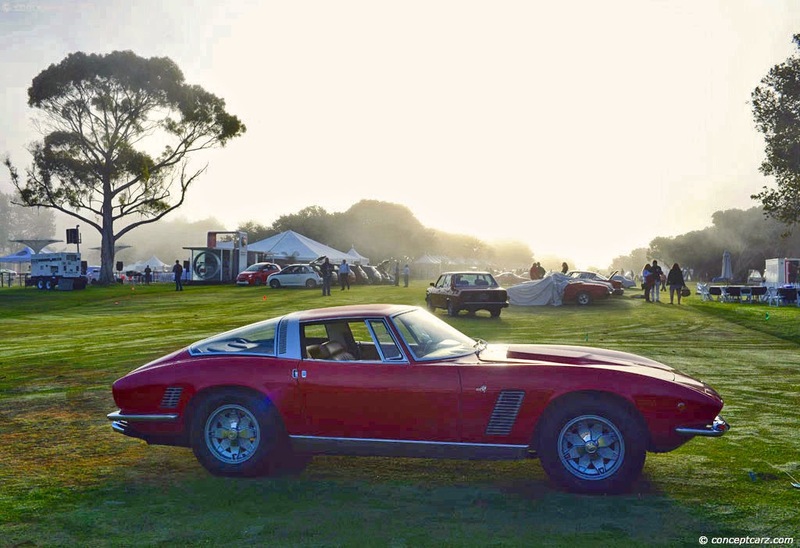 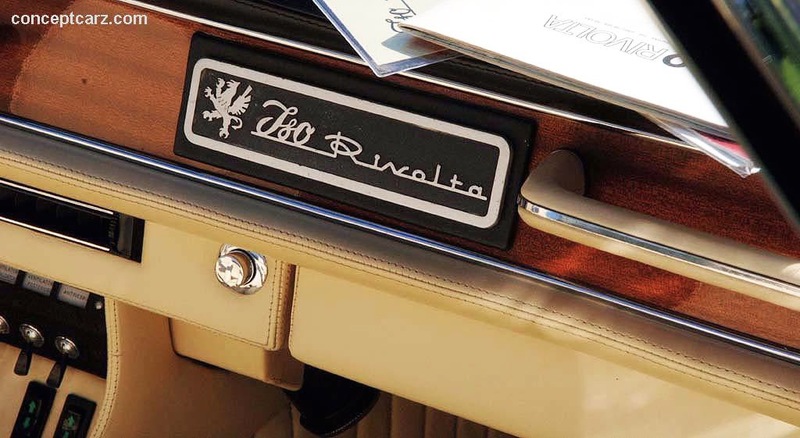 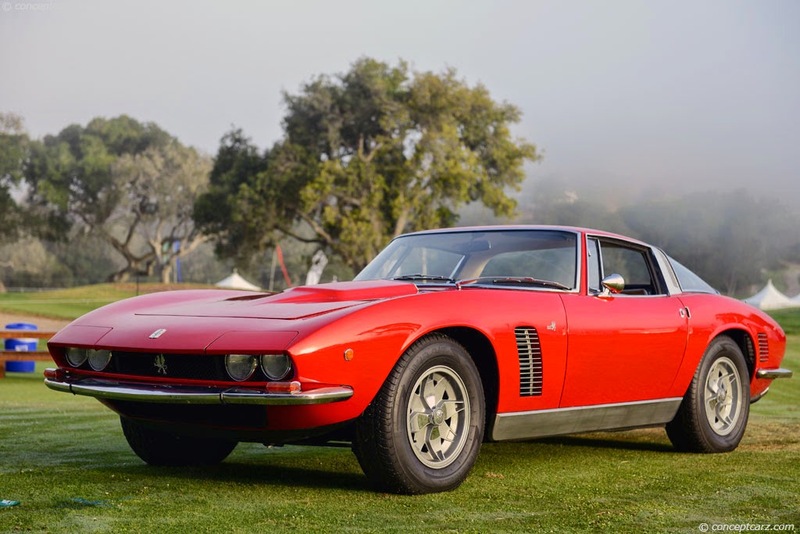 The Iso Grifo A3/L and Bizzarrini's A3/C both stem from a long and complicated relationship between Bizzarrini, Giugiaro at Bertone and Renzo Rivolta. 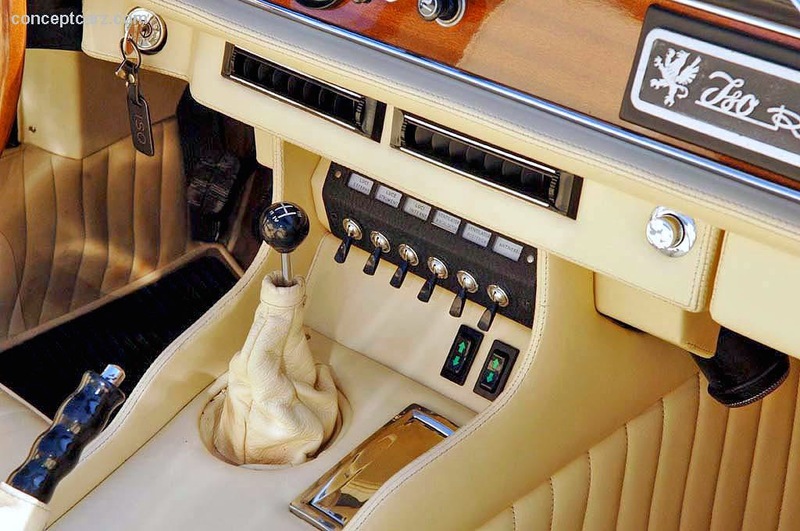 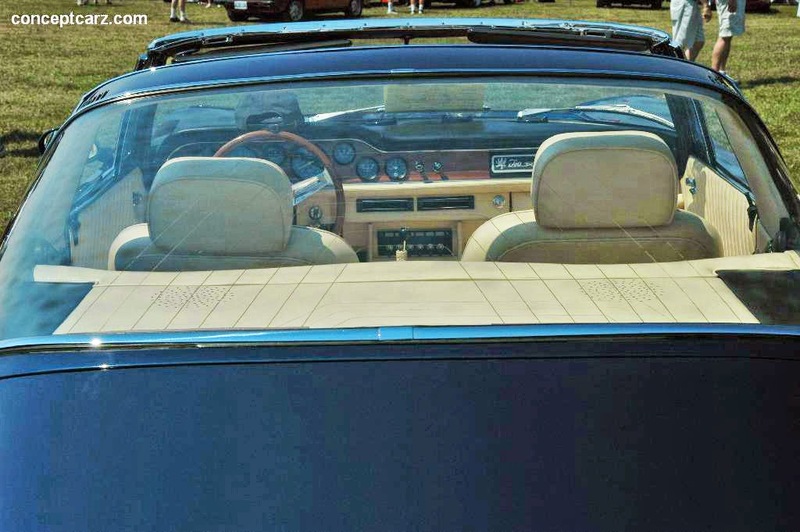 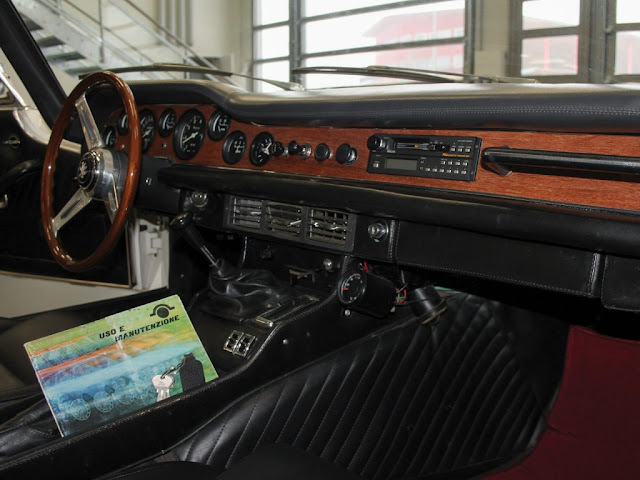 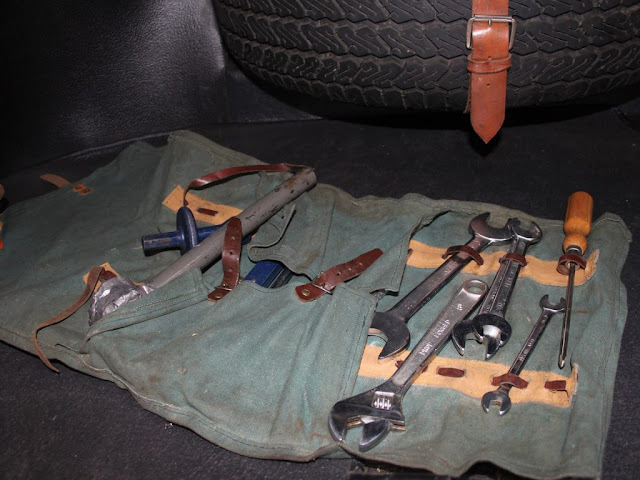 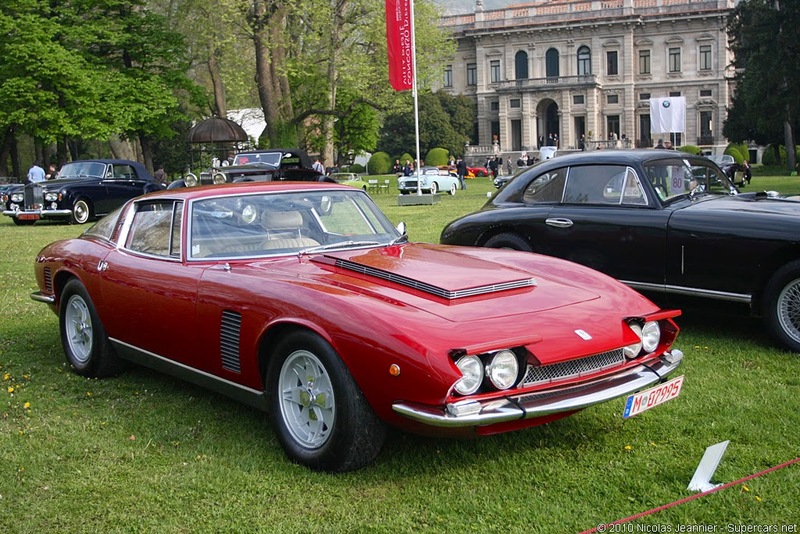 These three worked together to create the Iso Rivolta 300, a flagship car for Iso. 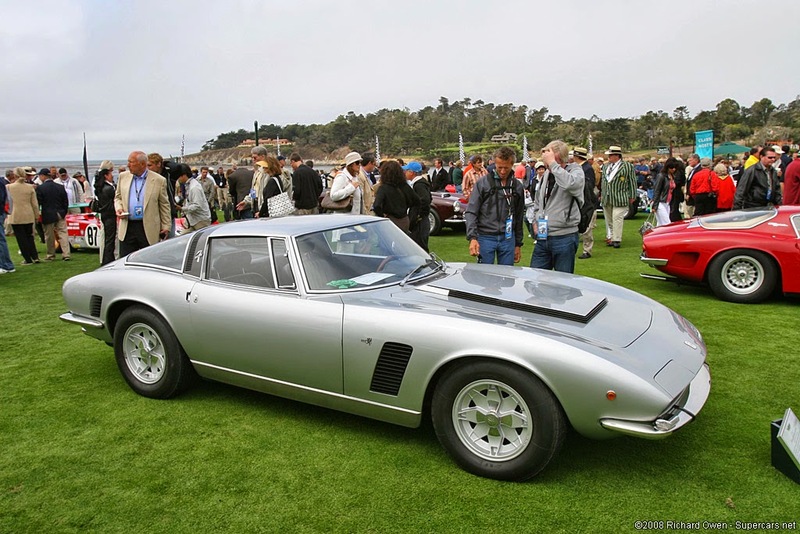 In 1963 Bizzarrini designed the Iso Grifo A3/L concept for Renzo Rivolta, as a development of a more sporting Iso Rivolta, and a precursor to the race car A3/C. 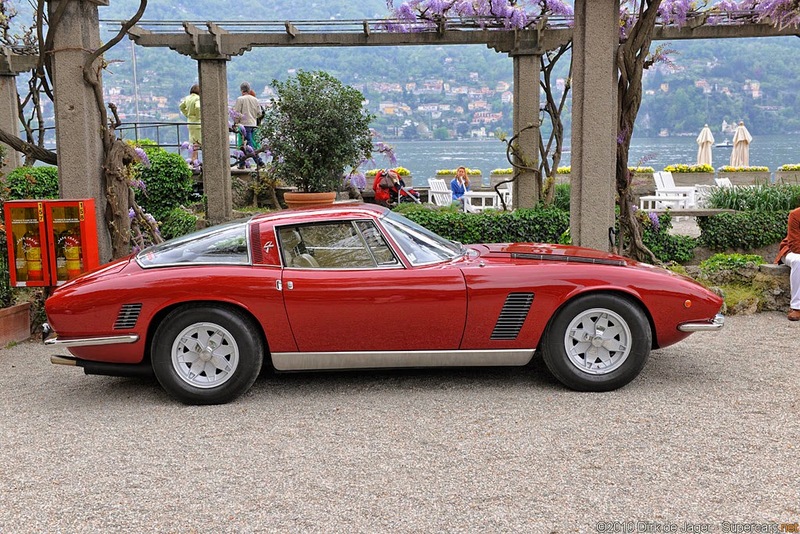 The body was designed by Giorgetto Giugiaro at Bertone, while Bizzarrini put his expertise in the mechanicals. 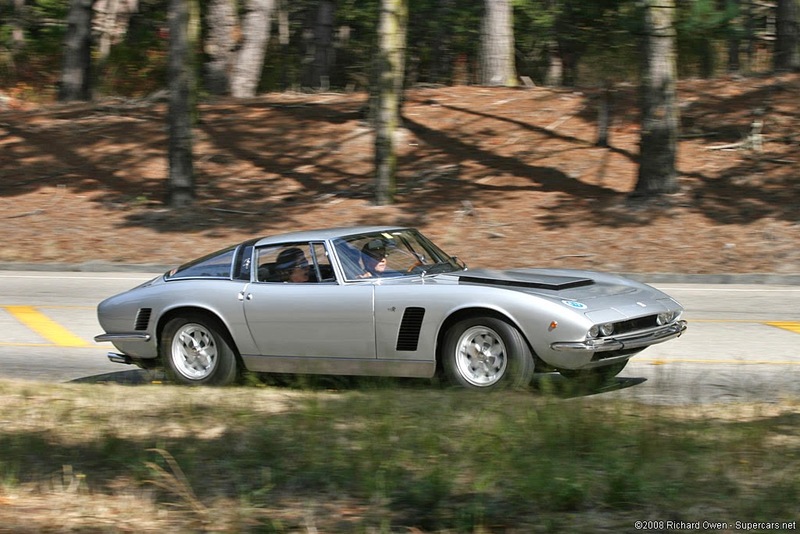 Bizzarrini wanted to go endurance racing but Rivolta, who owned Iso, did not agree. 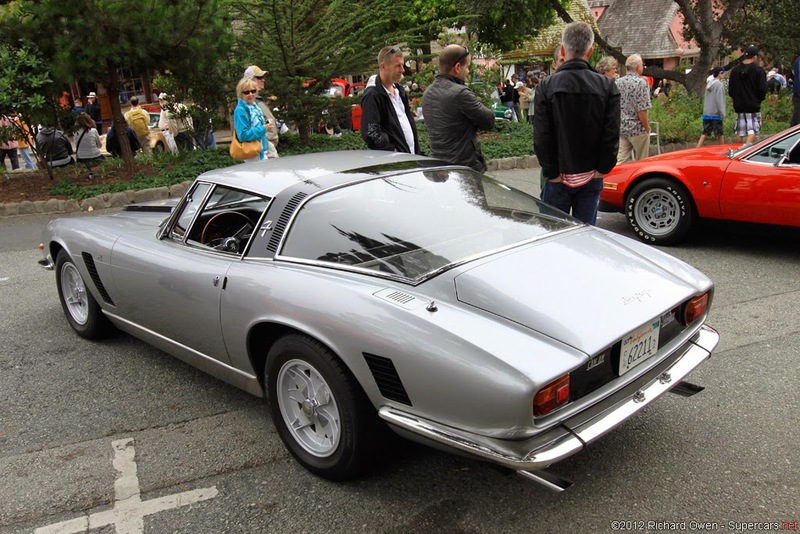 Finally in 1965 Giotto Bizzarrini and Renzo Rivolta split ways, which resulted in separate production of the street Grifo GL and the competition Bizzarrini A3/C. 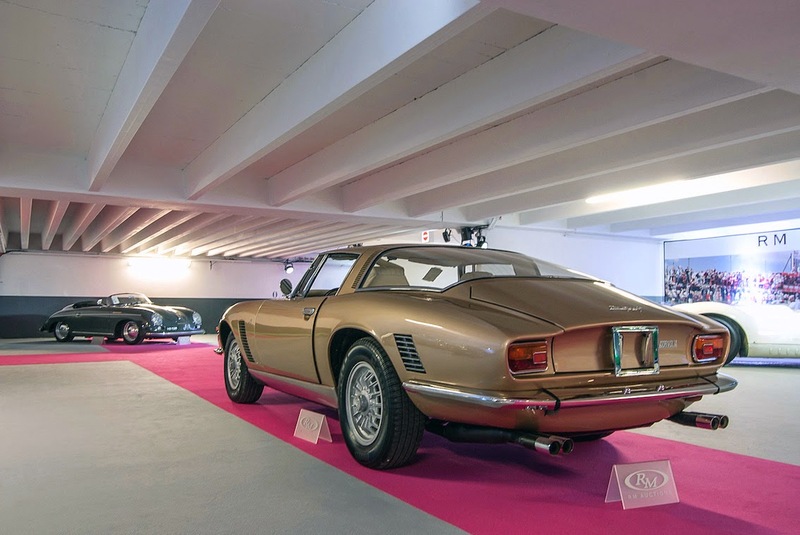 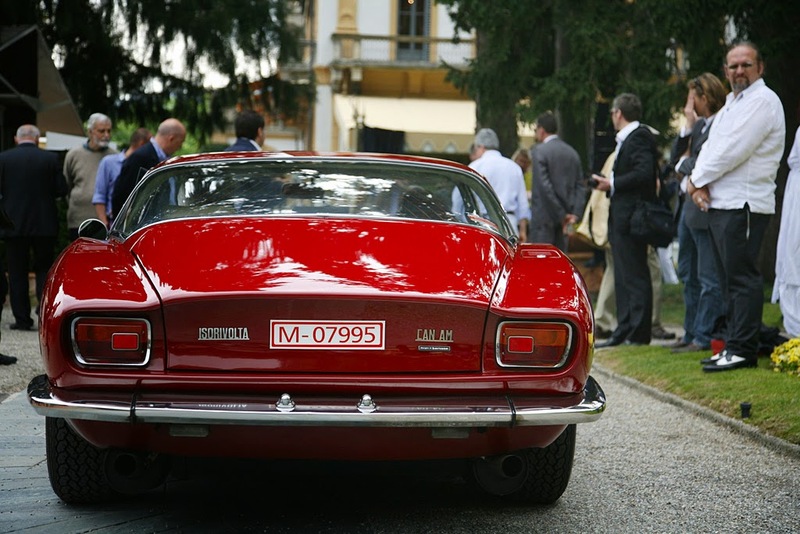 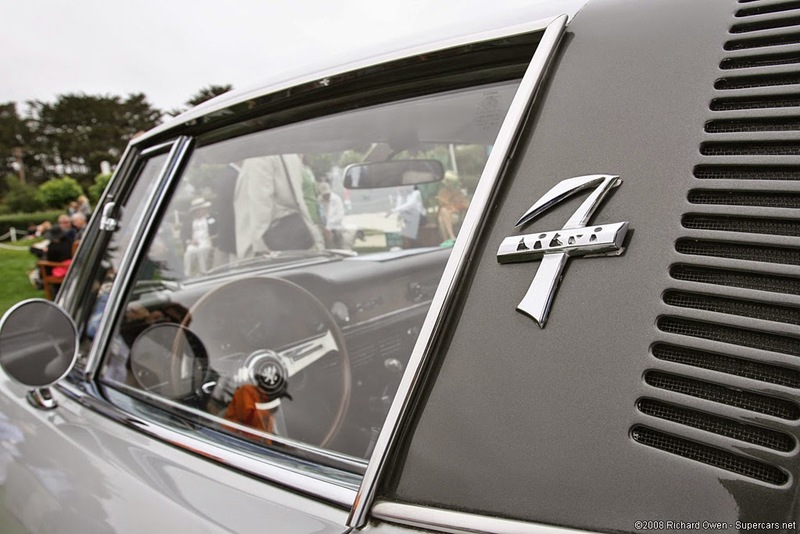 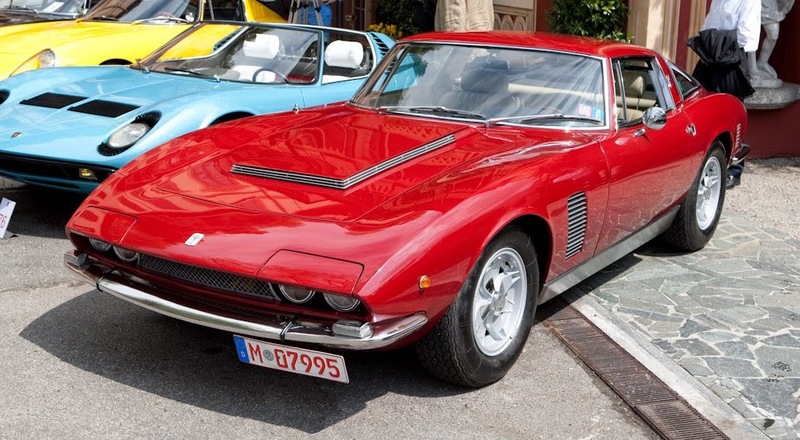 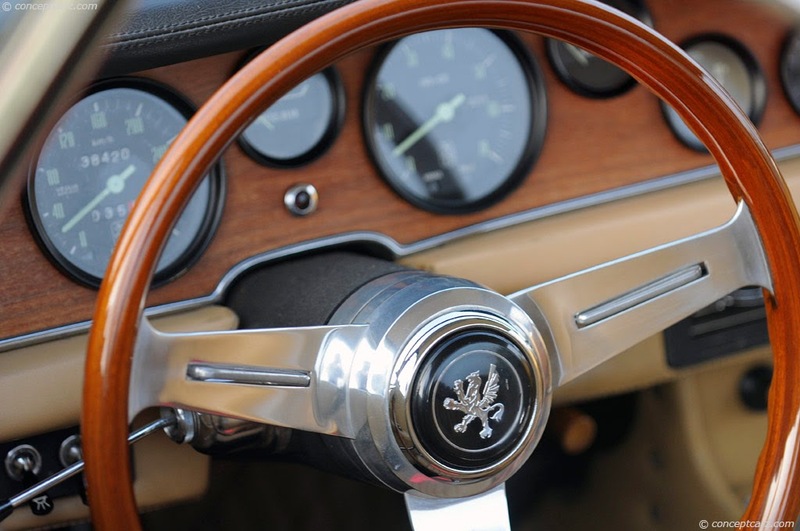 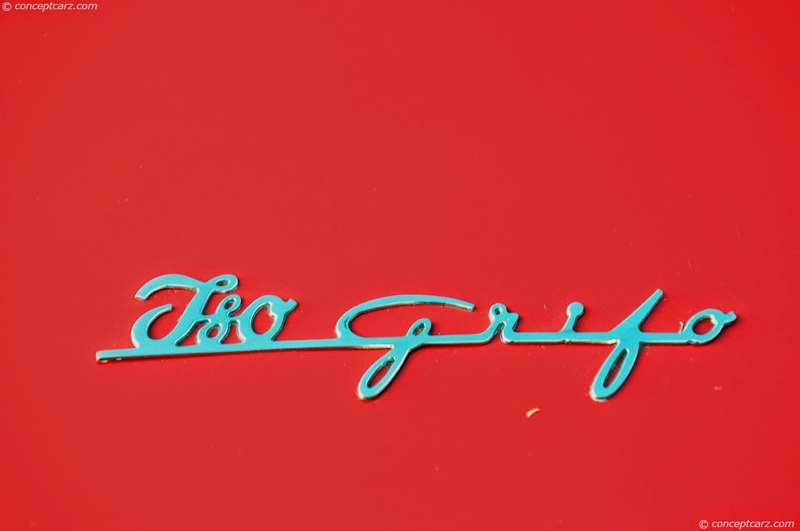 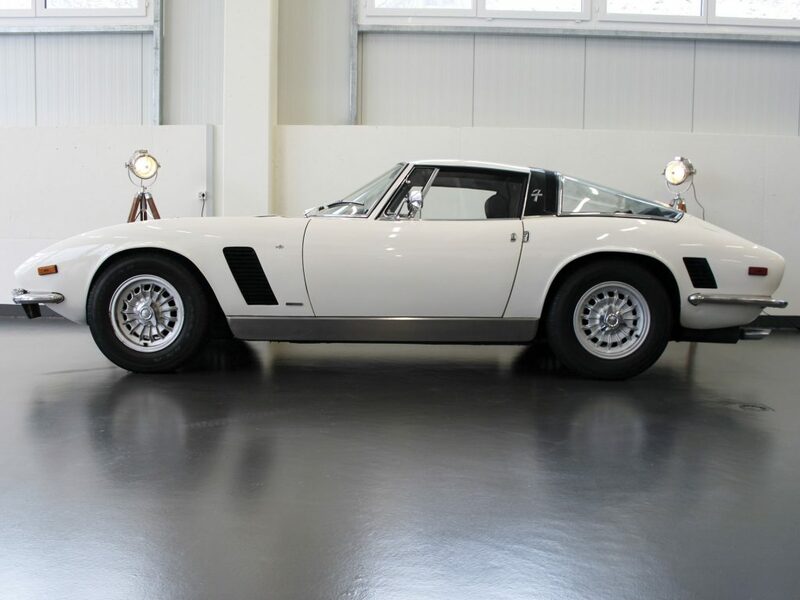 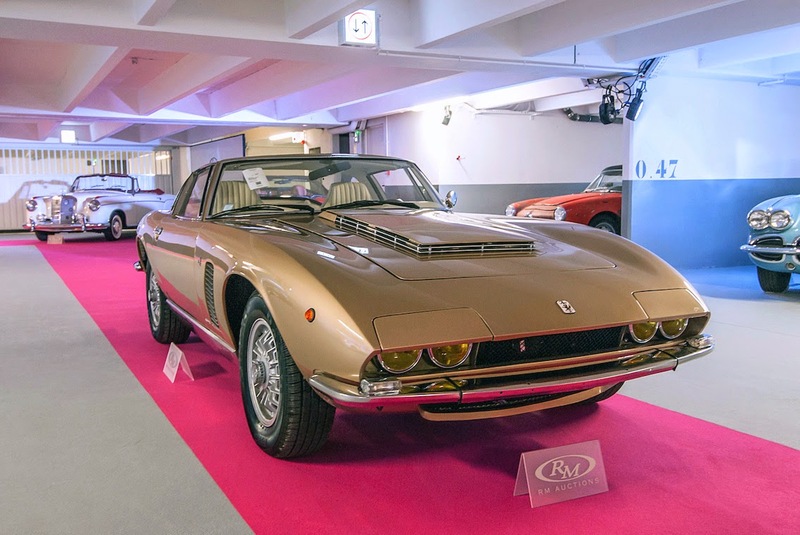 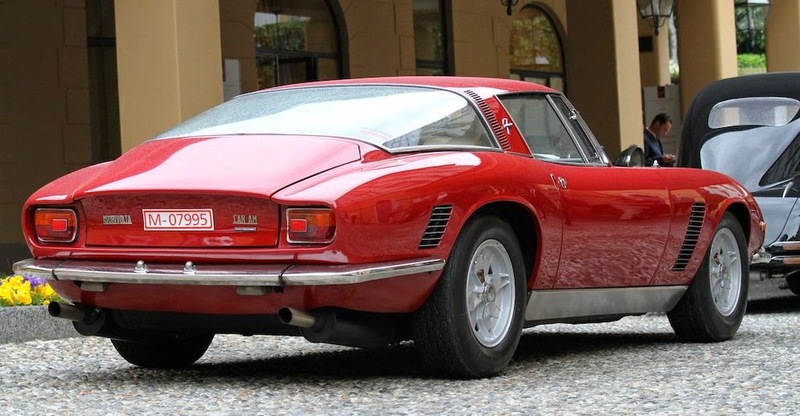 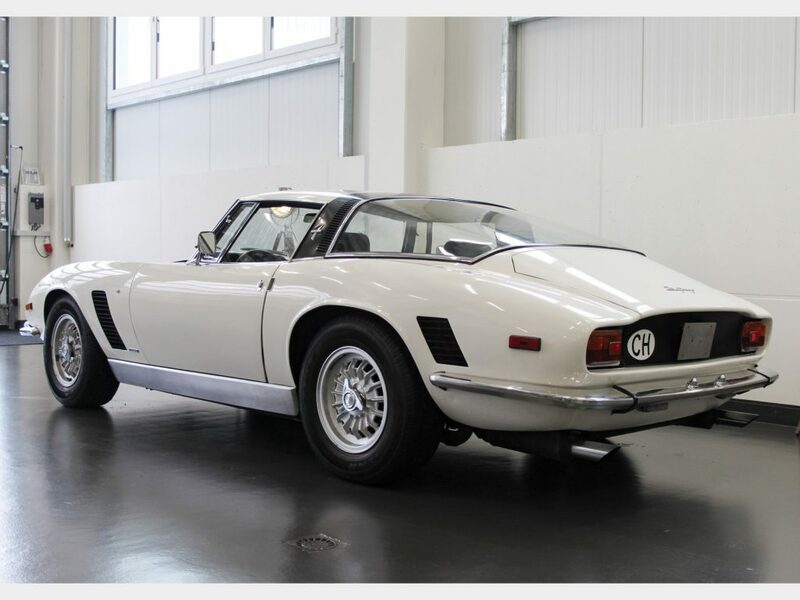 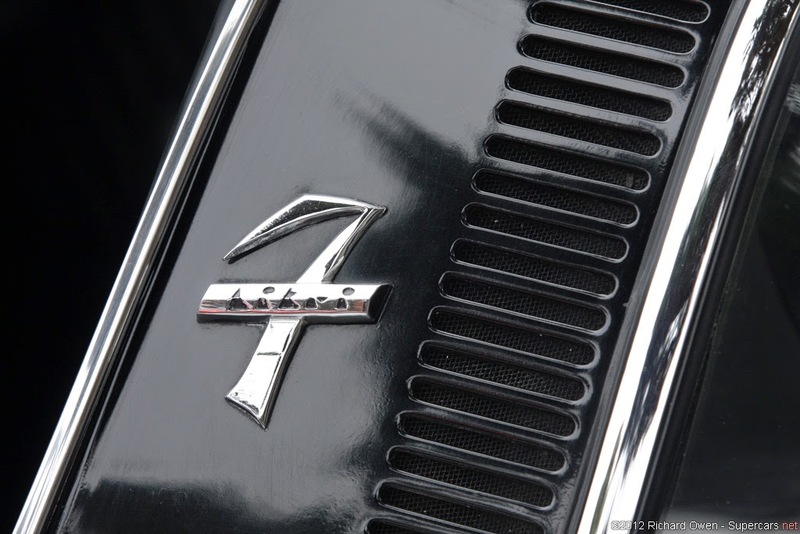 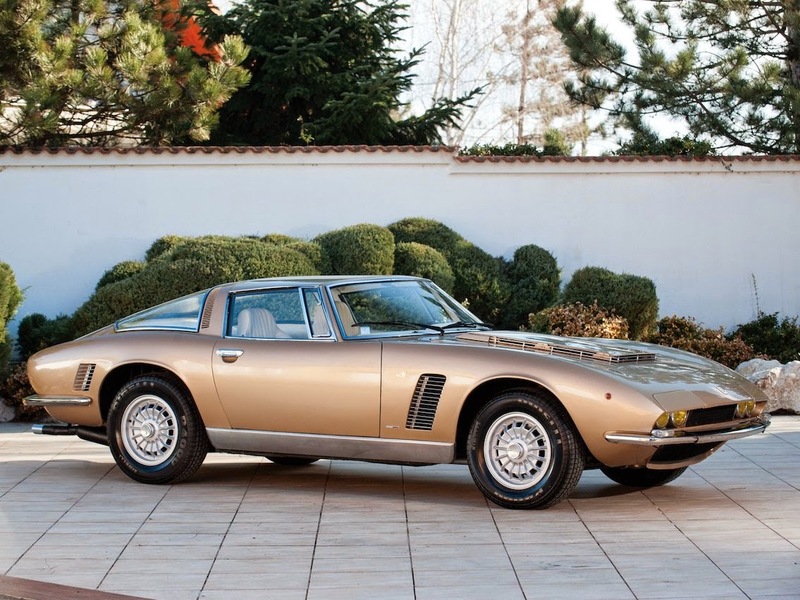 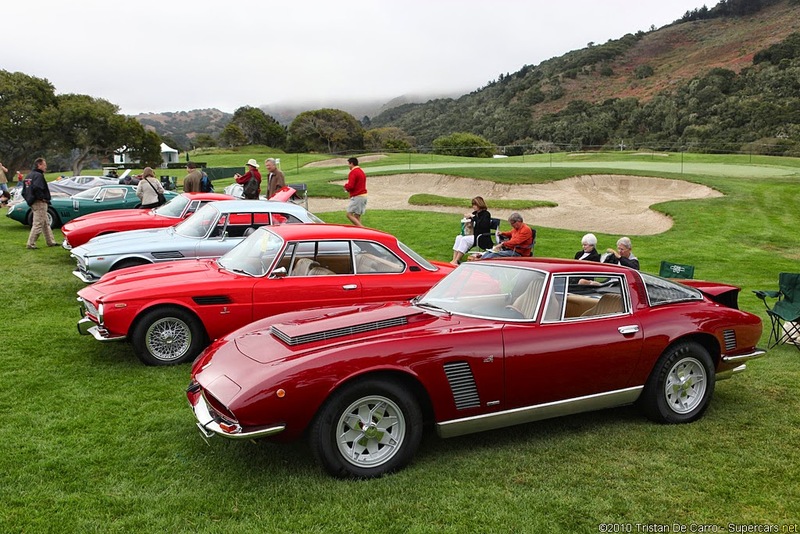 Production of the Iso Grifo GL series started in 1965. 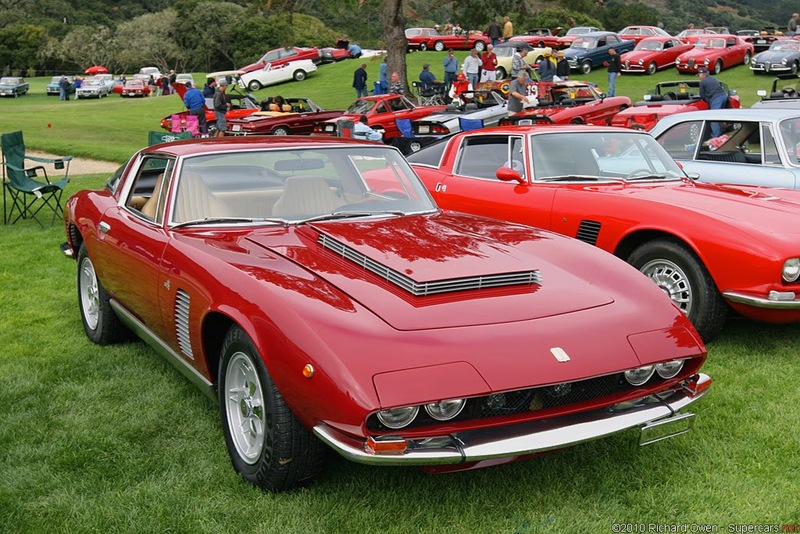 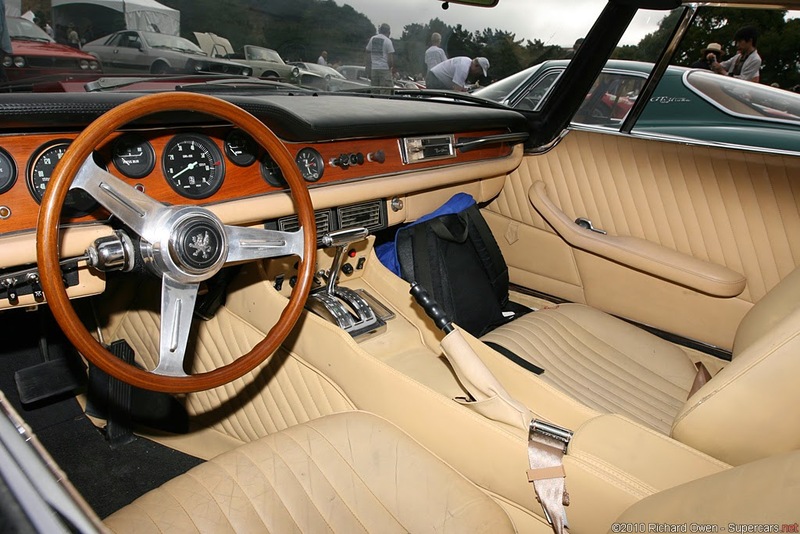 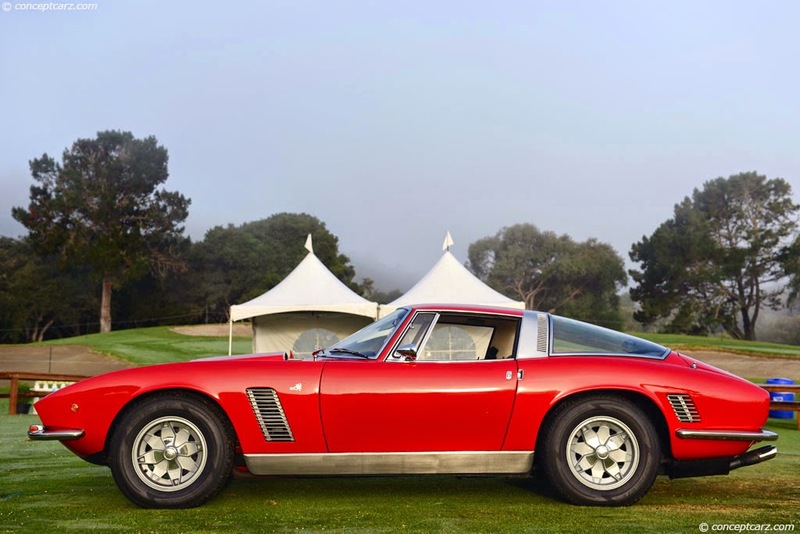 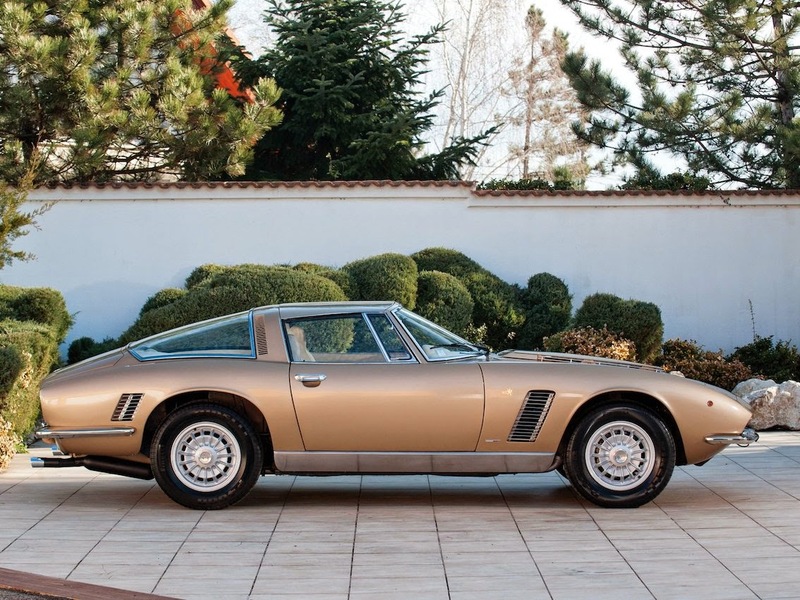 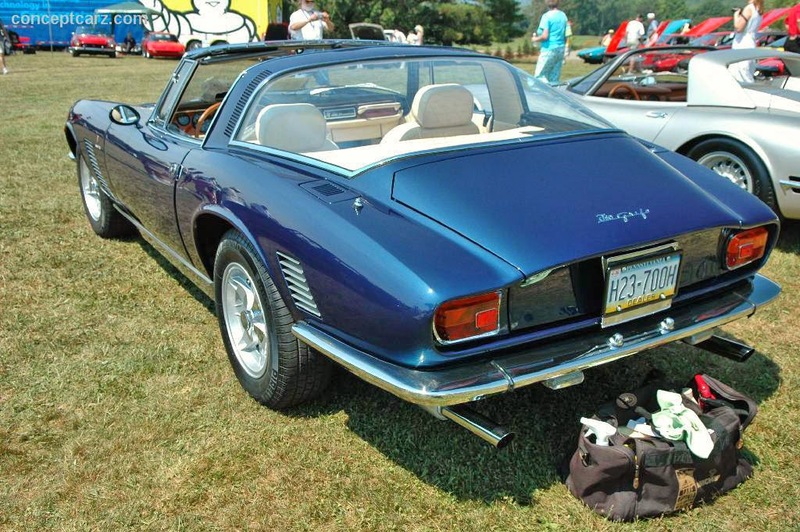 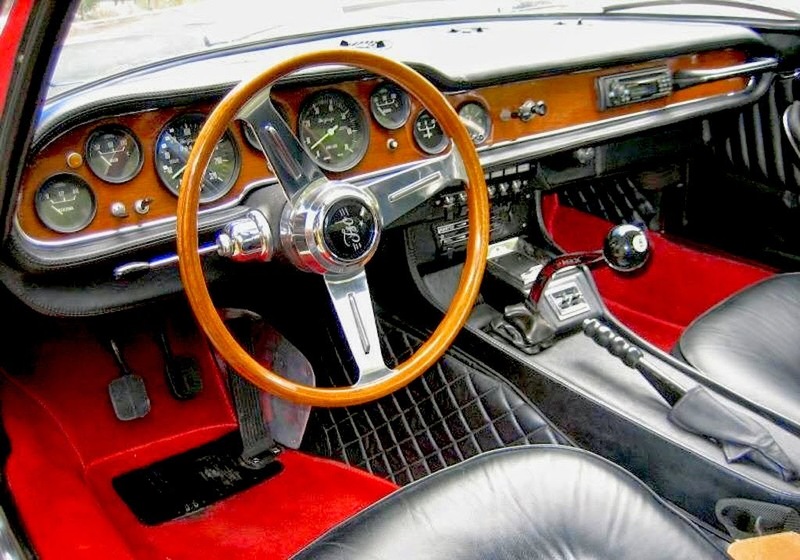 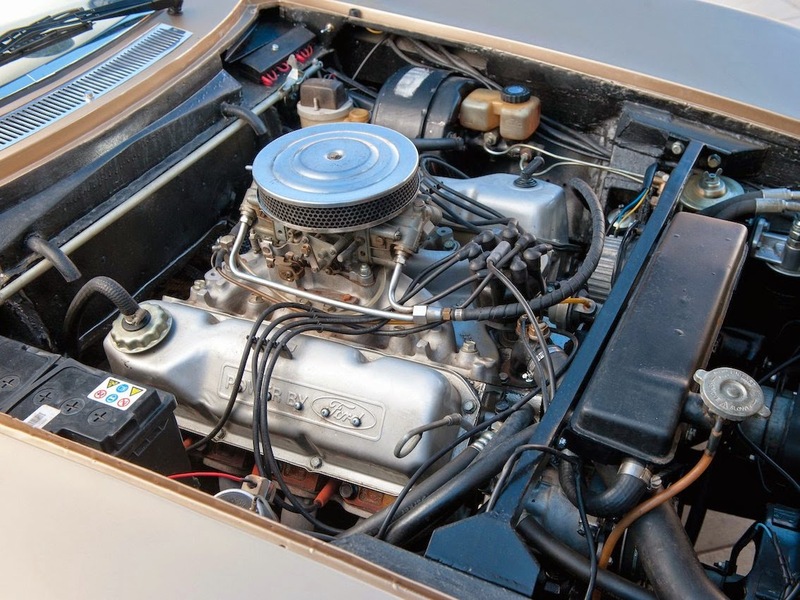 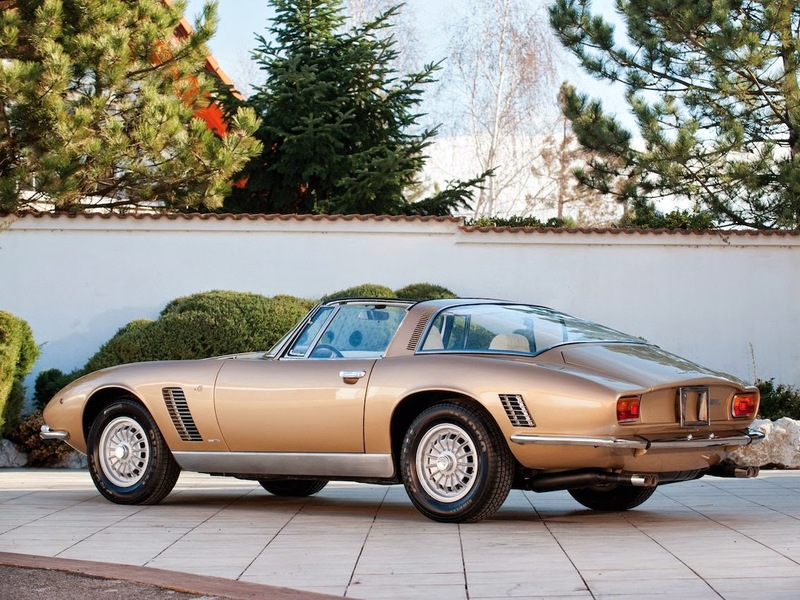 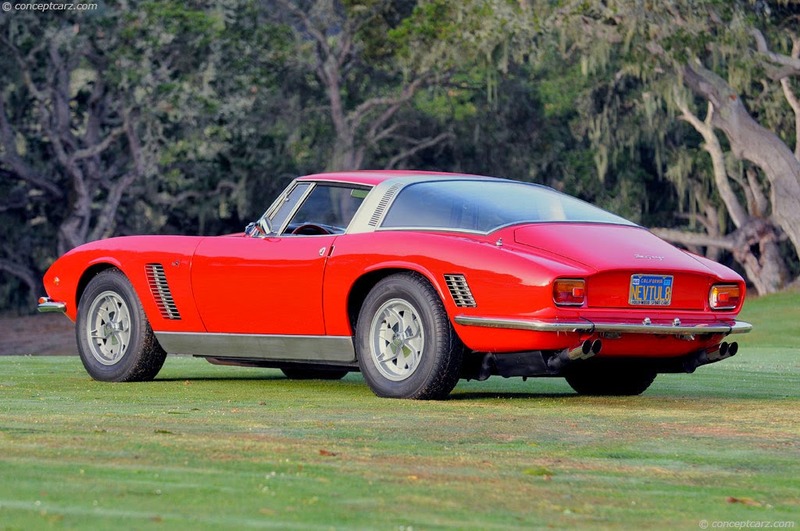 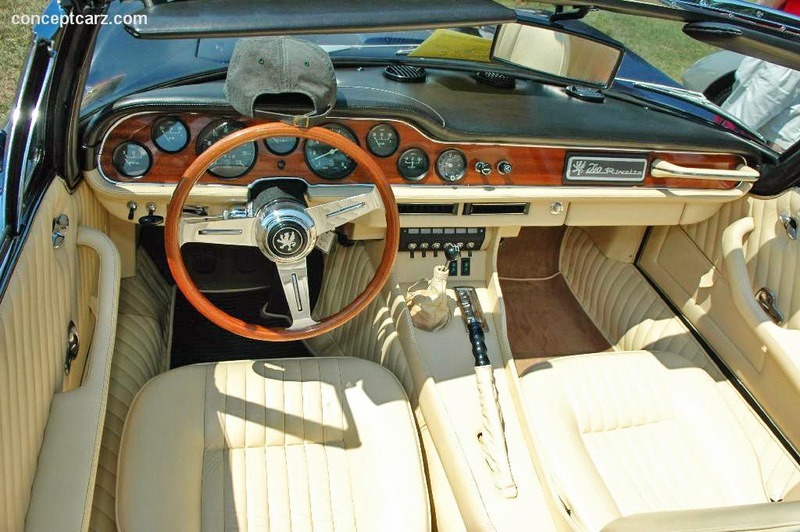 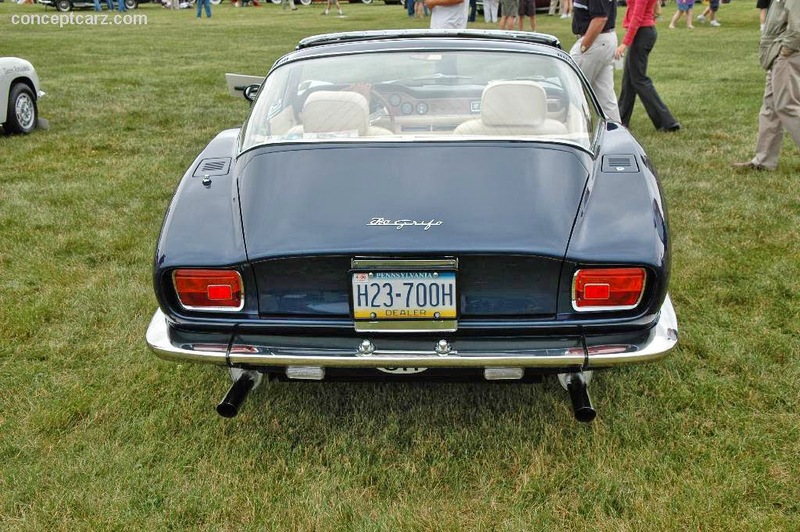 Early Series 1 Iso Grifo GLs received the fast, modified but reliable Chevrolet Corvette’s 327 V8 (5.4 L) engine producing 300 hp. 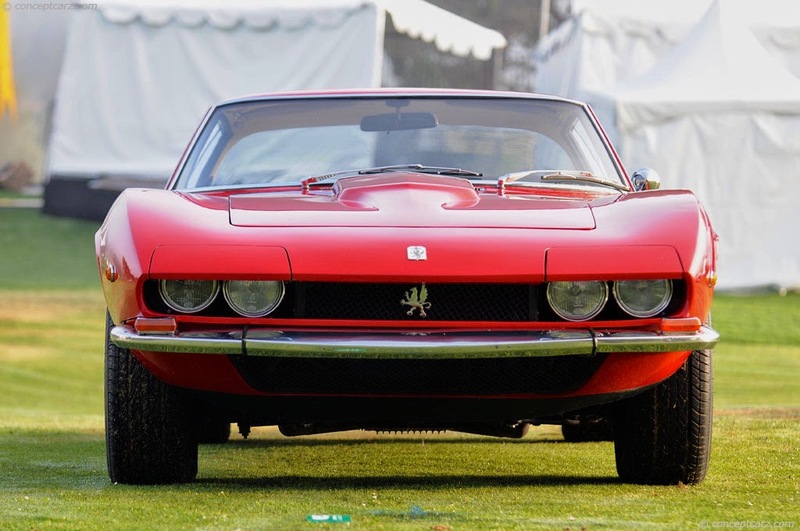 In 1968 the Grifo 7 Litri was introduced with a Chevrolet L71 big-block engine, a Tri-Power version of the 427 engine producing 435 hp. 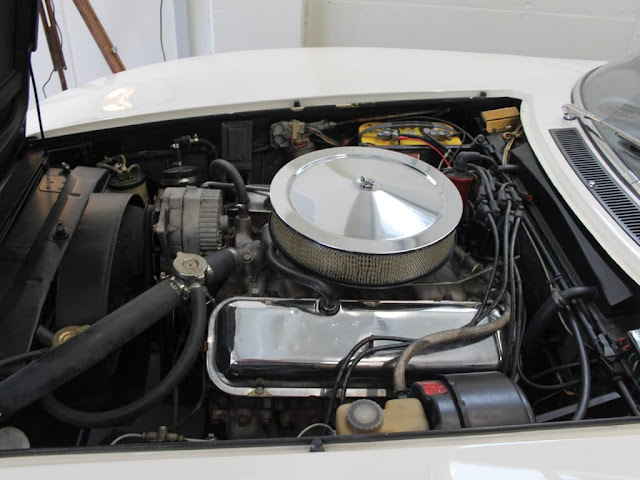 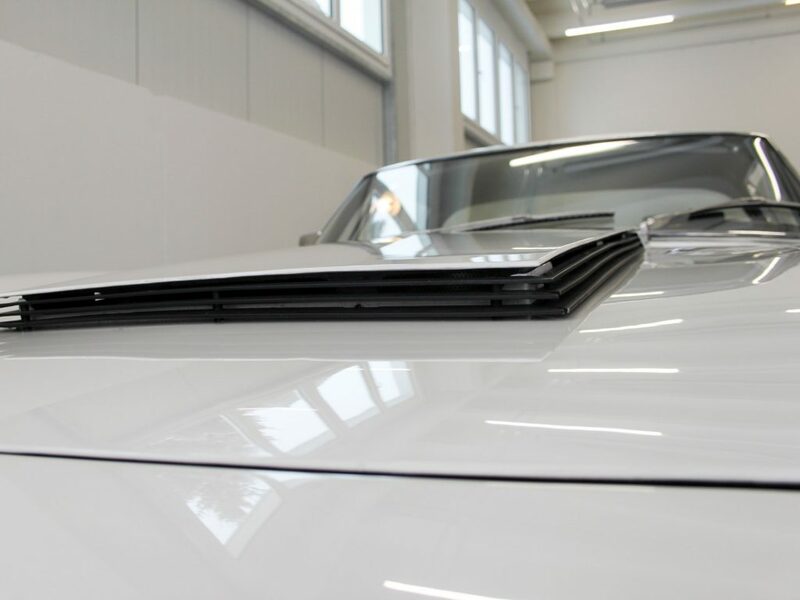 A hood scoop was needed because of the engine's height. 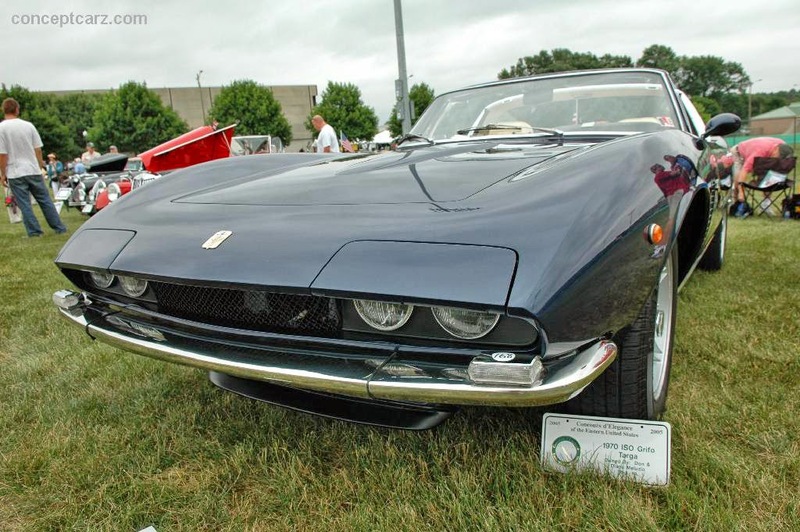 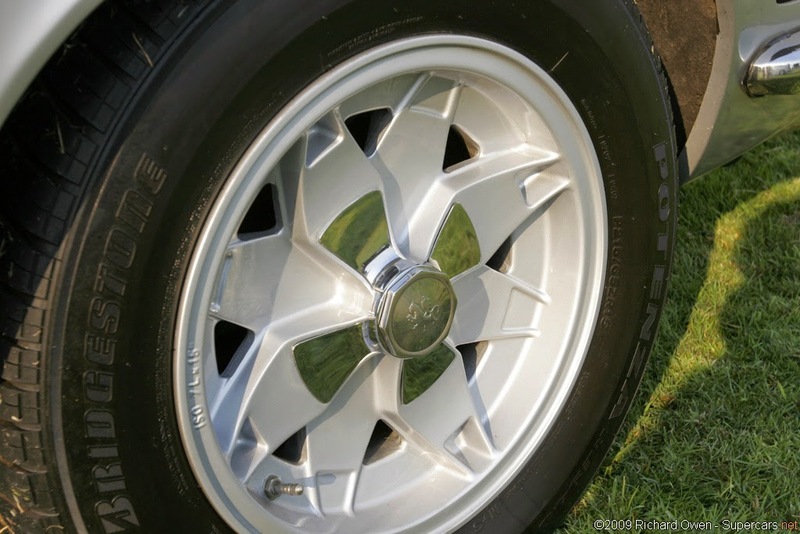 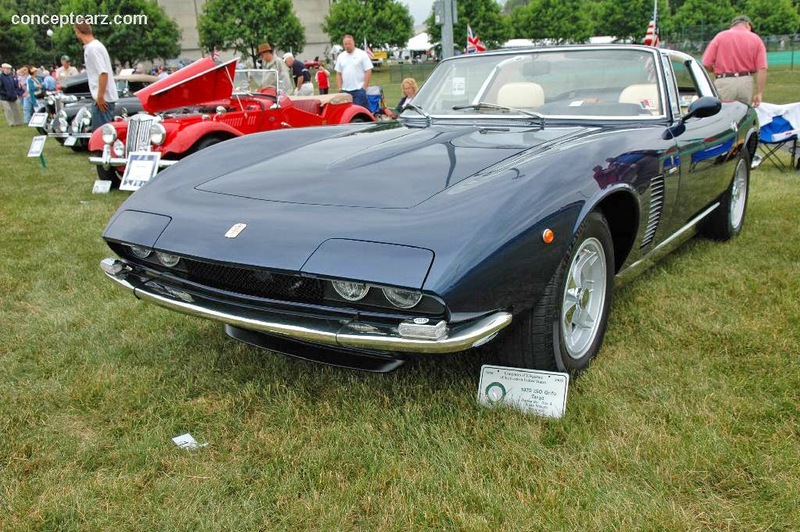 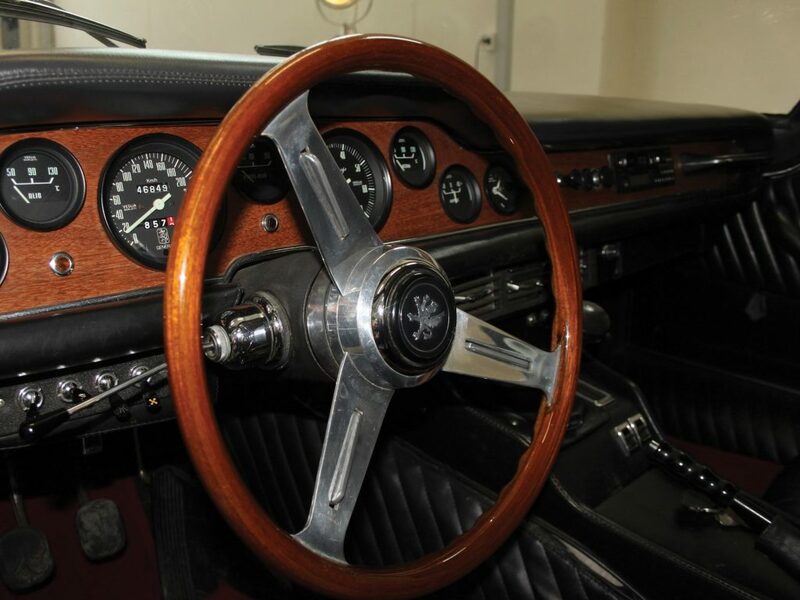 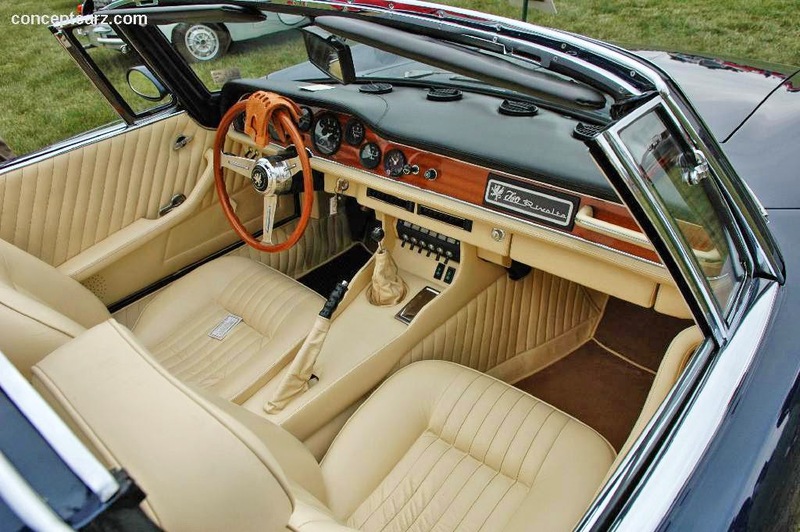 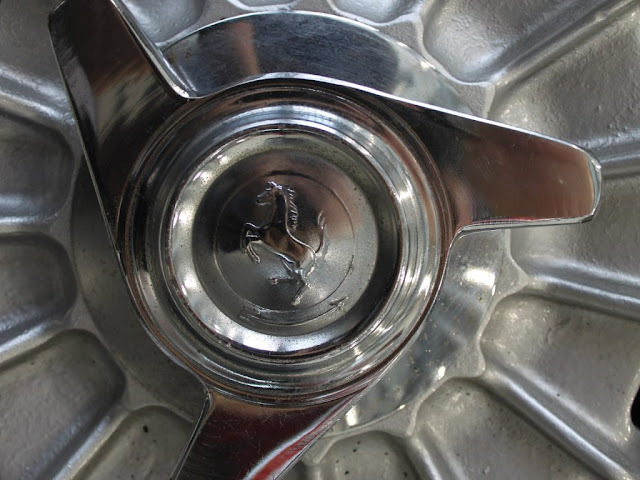 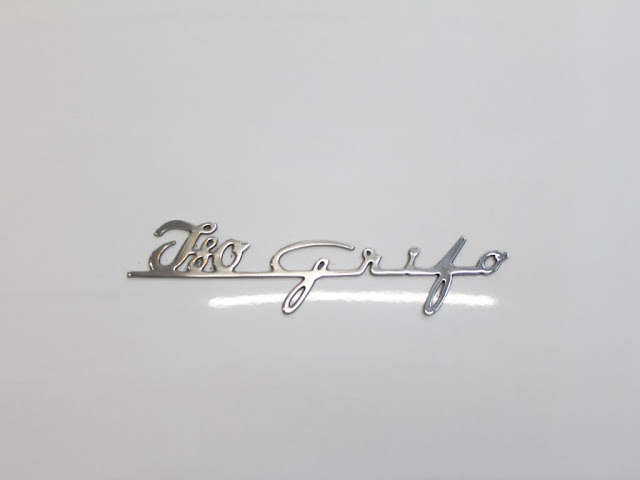 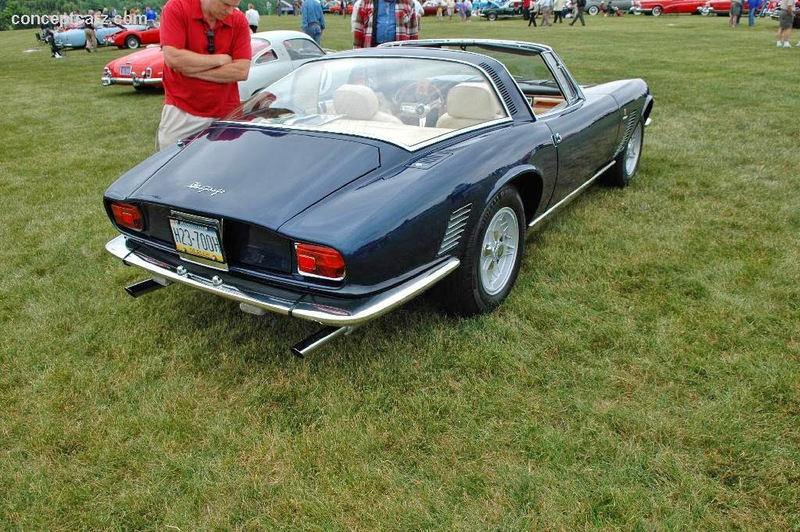 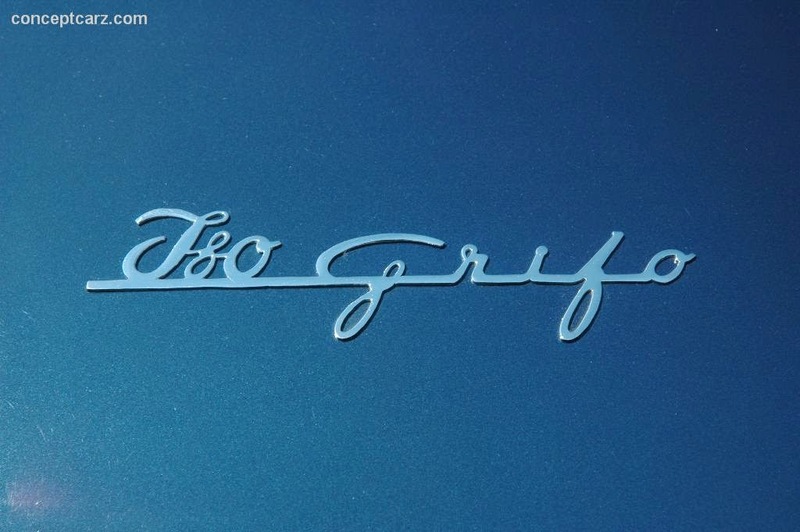 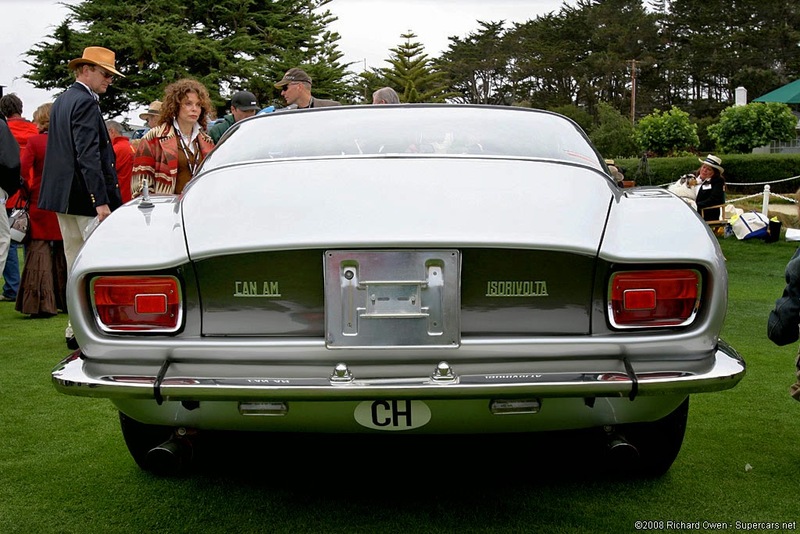 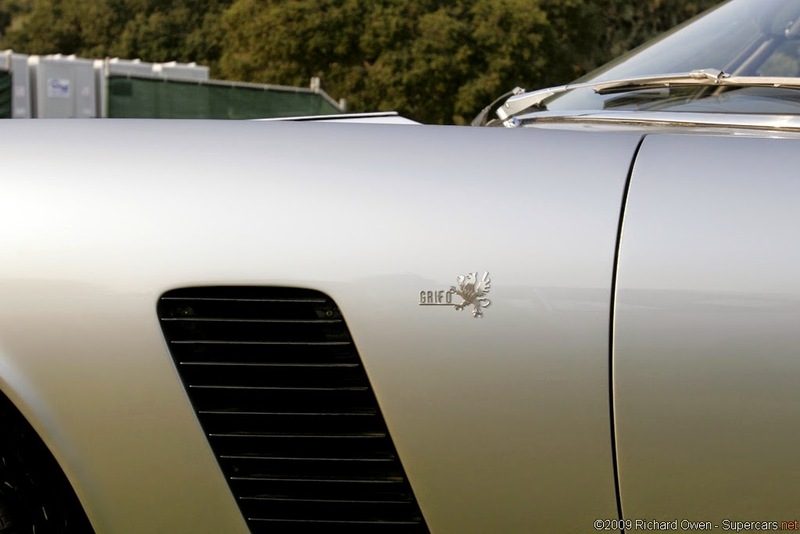 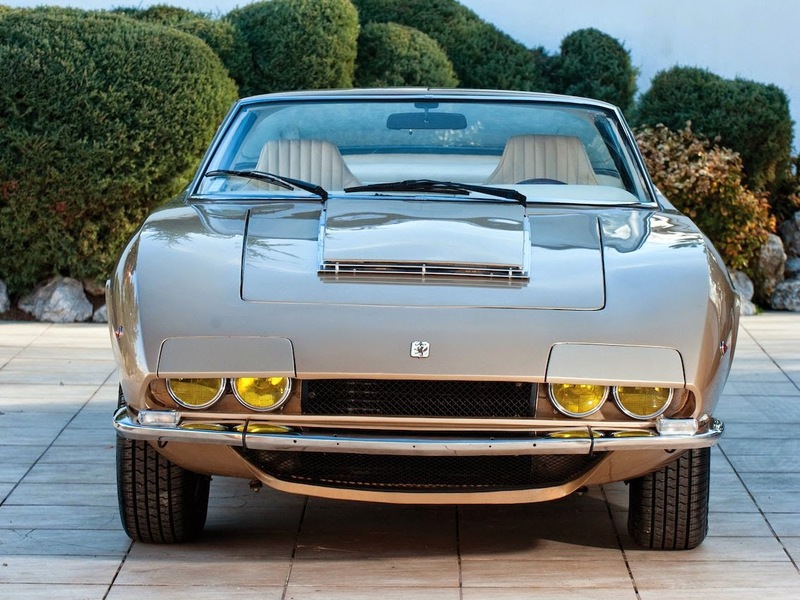 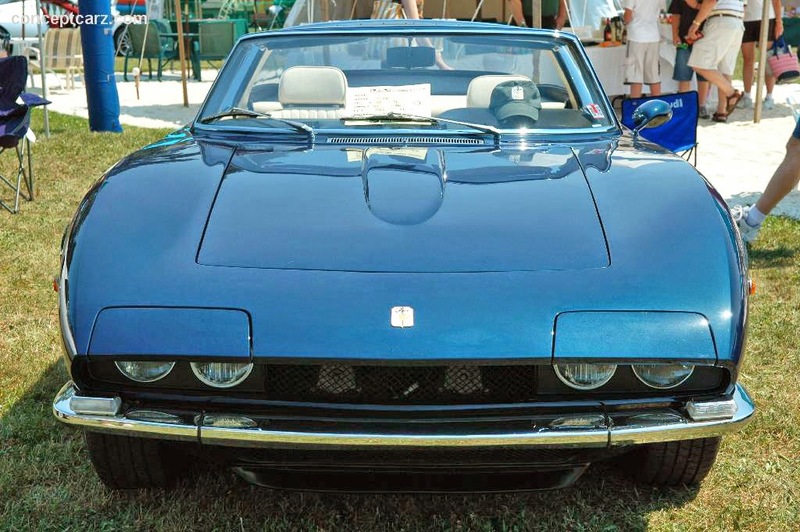 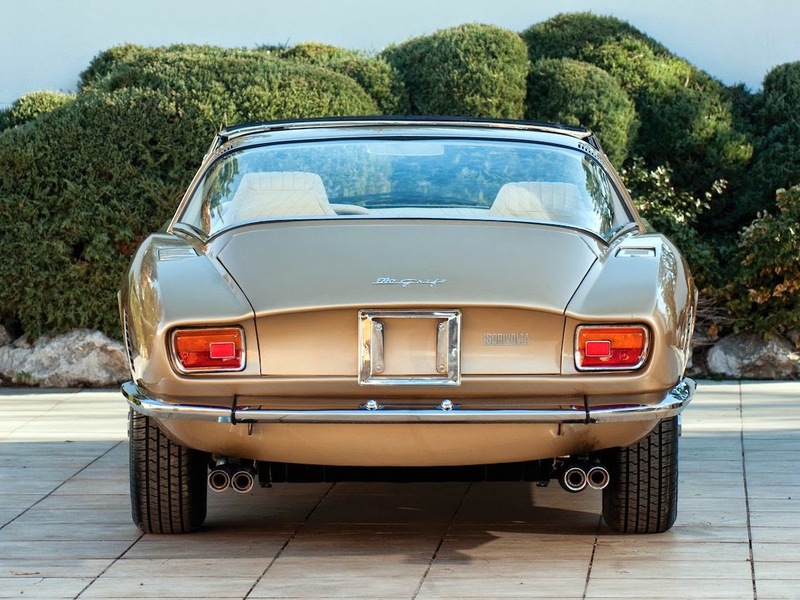 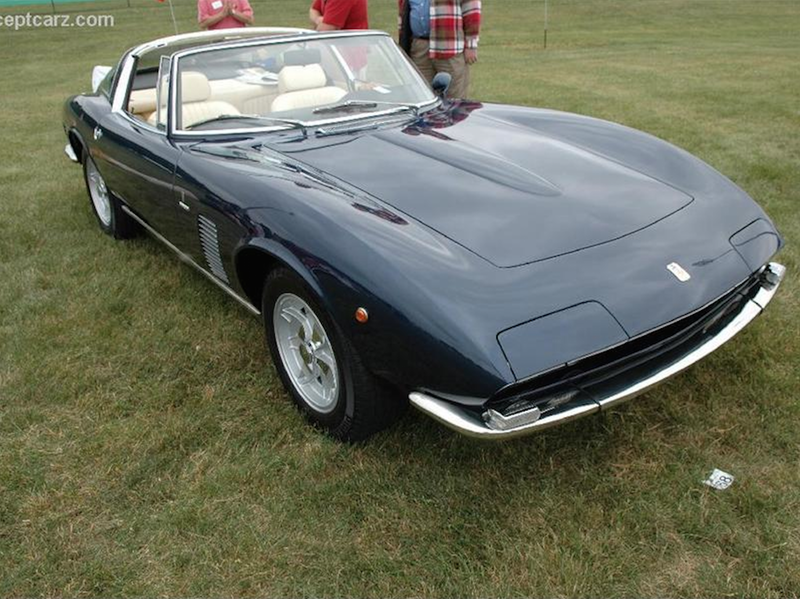 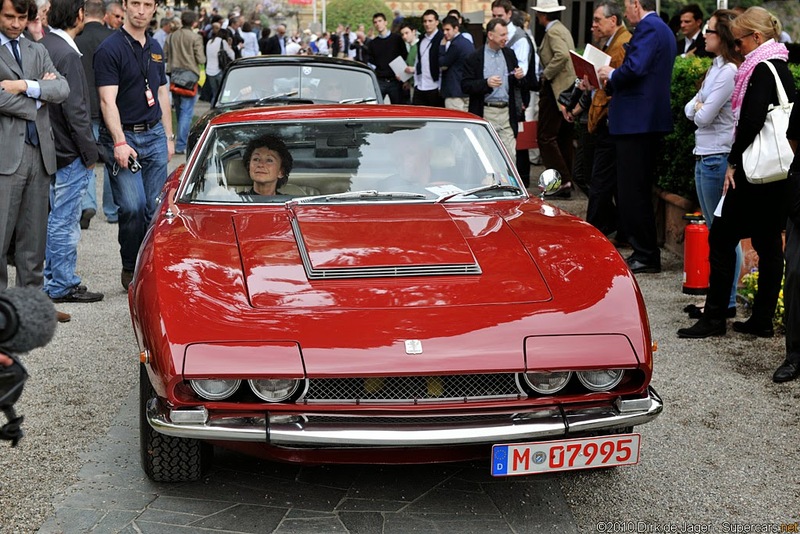 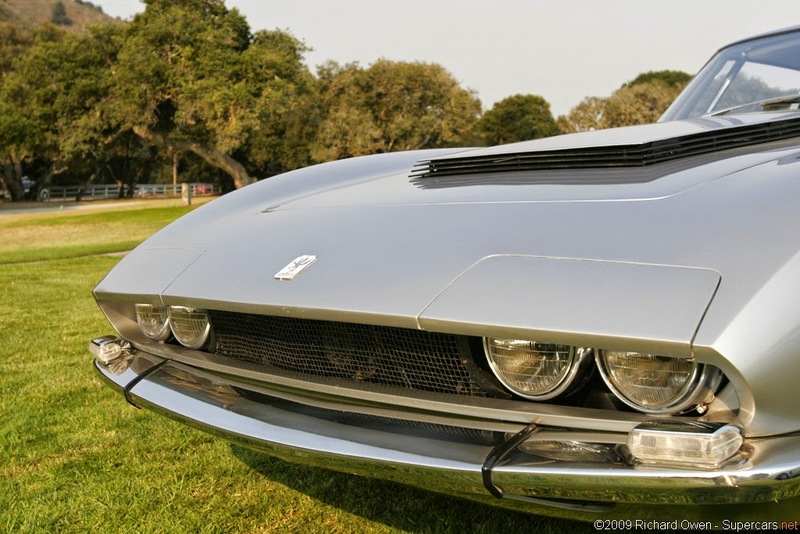 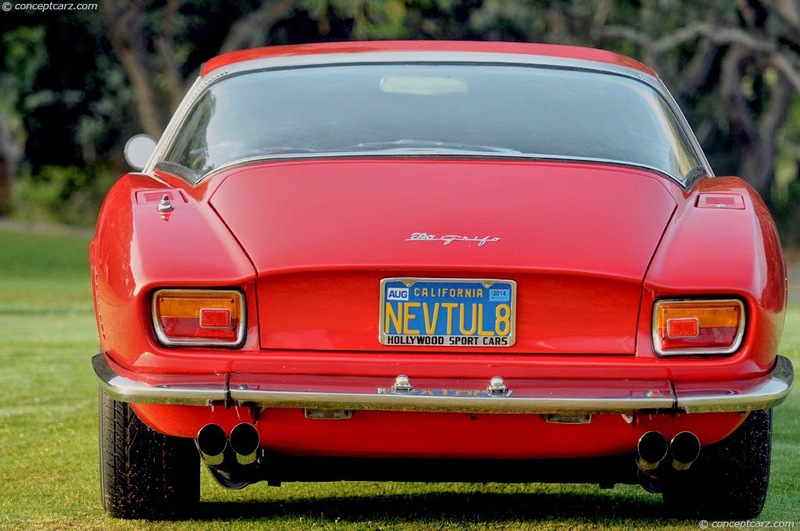 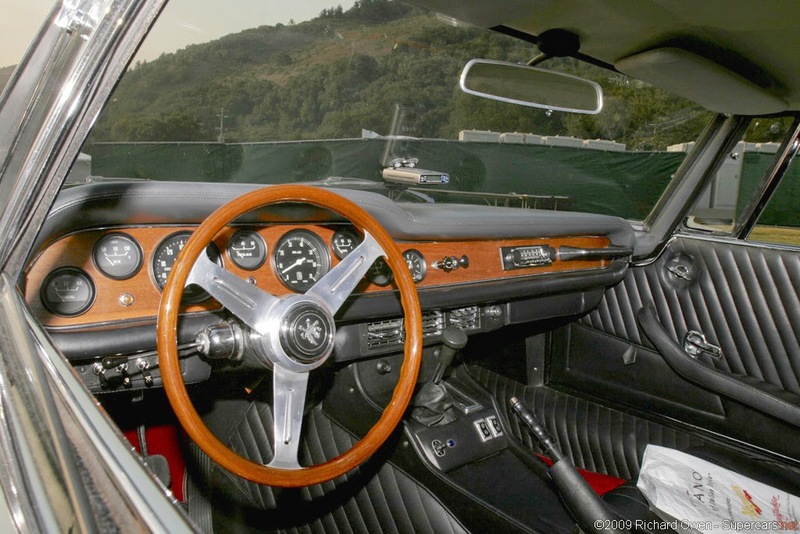 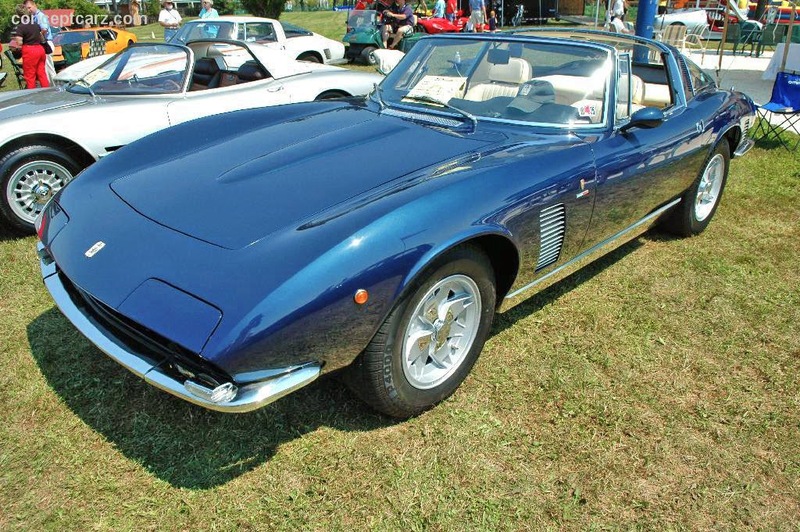 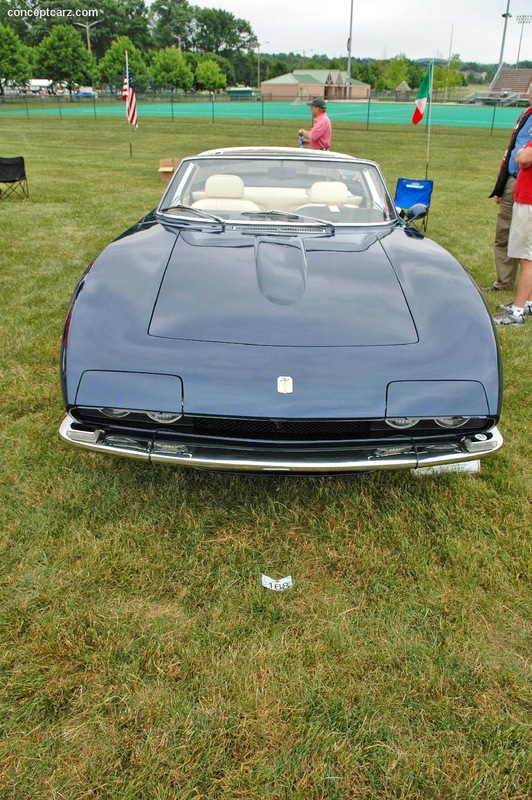 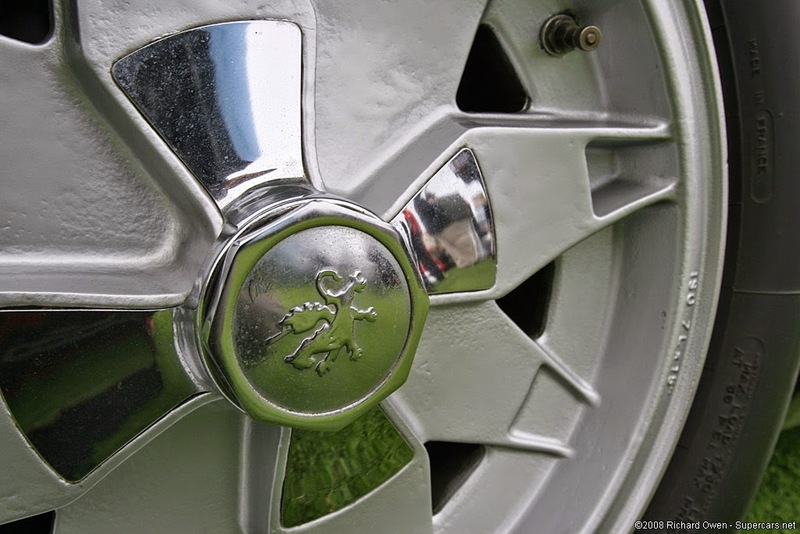 In 1970 a styling change was made to the nose section of the car for the Grifo Series 2. 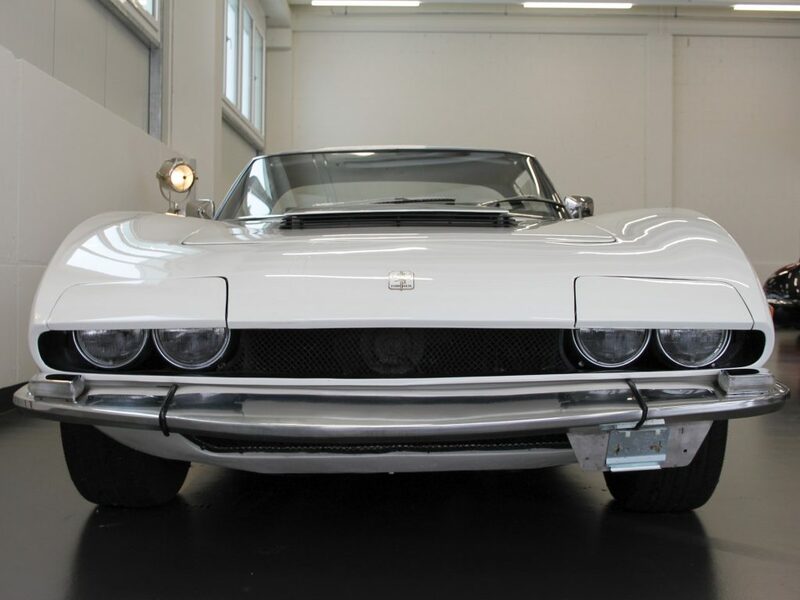 It got a sleeker look and hide-away headlights. 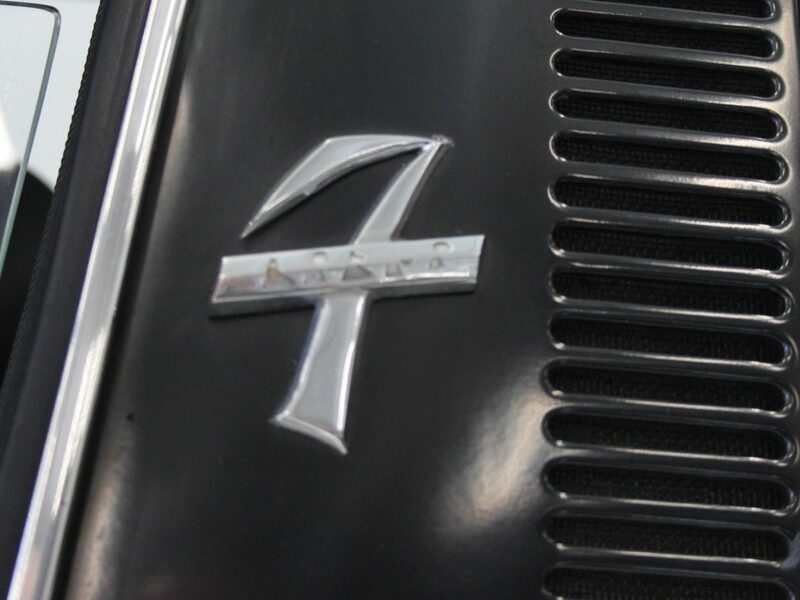 In this new Series 2, four Targas were built. 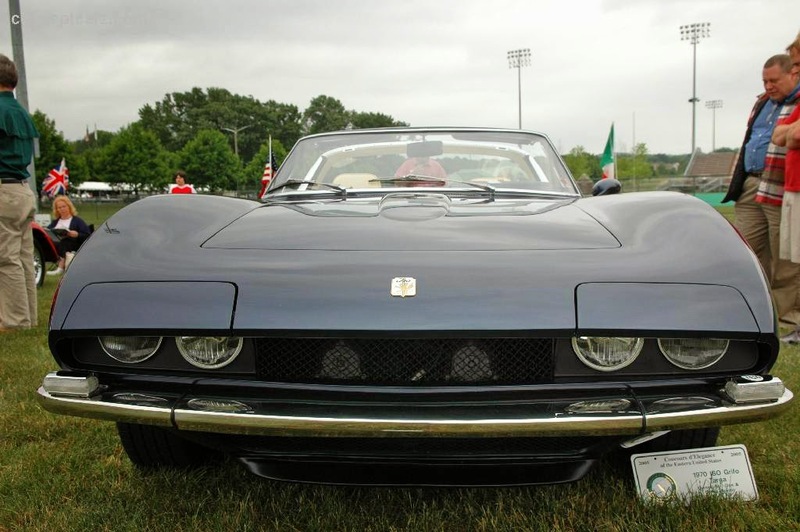 The Series 2 Grifo's with a 7 liter engine were called the IR-9 Can Am. 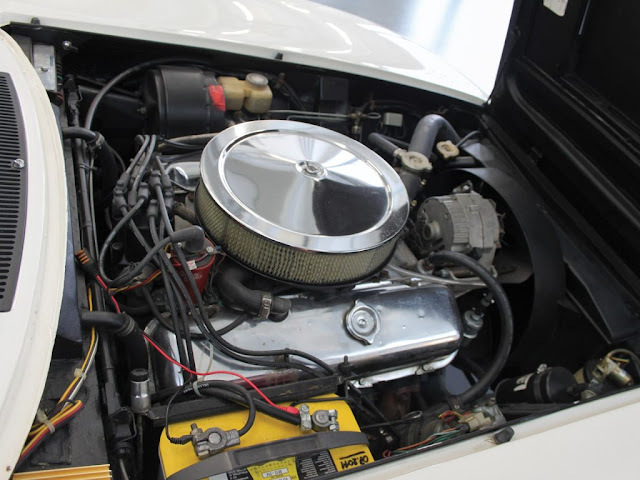 Most of these cars had a Corvette 454 390 hp engine installed. 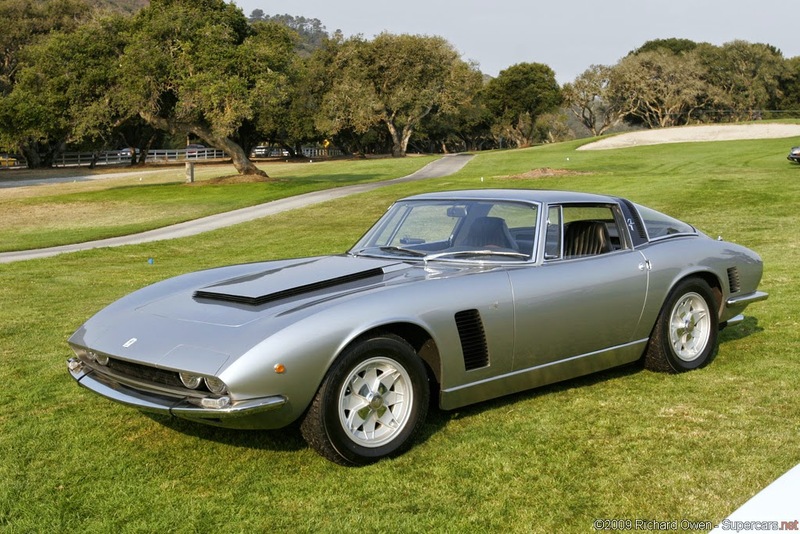 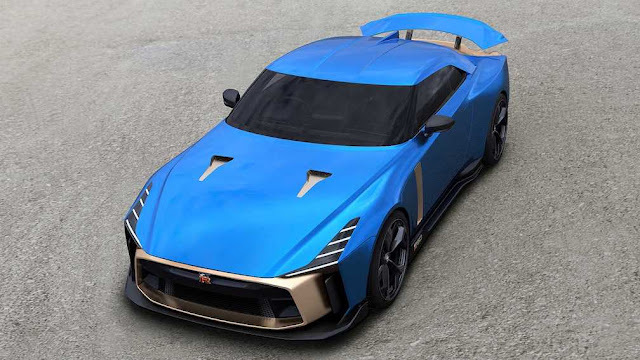 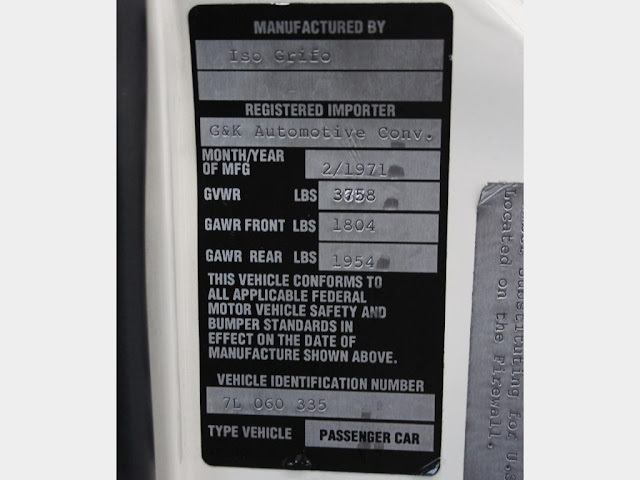 However they were not as fast as the 435 hp Series 1 7 Litris. 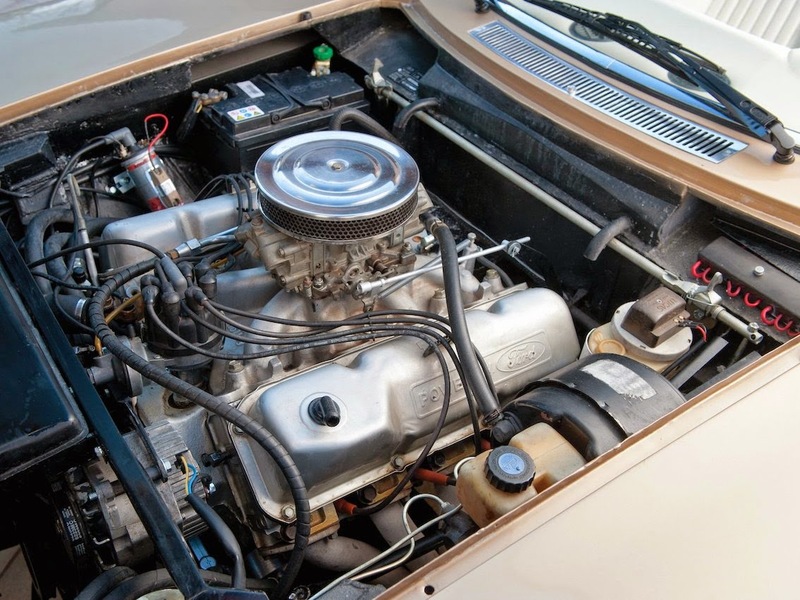 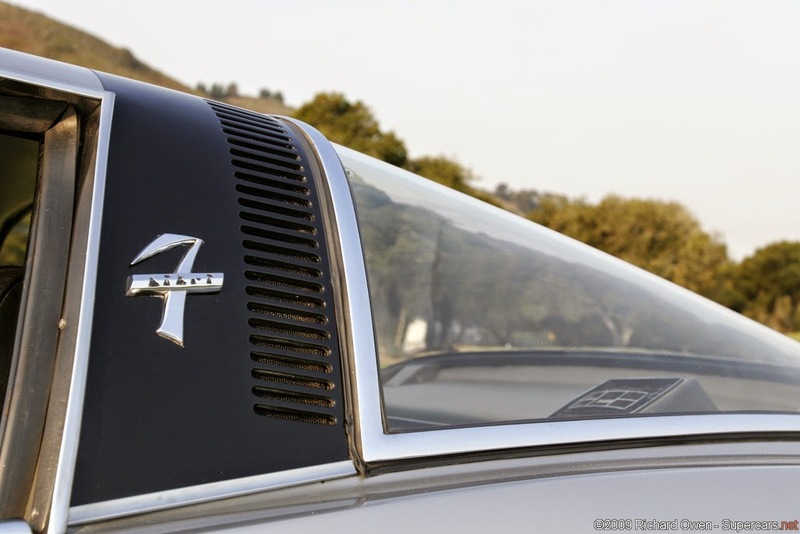 In 1972 Iso started to use the 365 hp small-block Ford Boss 351 engines; these cars (Grifo IR-8) can be recognized by their taller hood scoop. 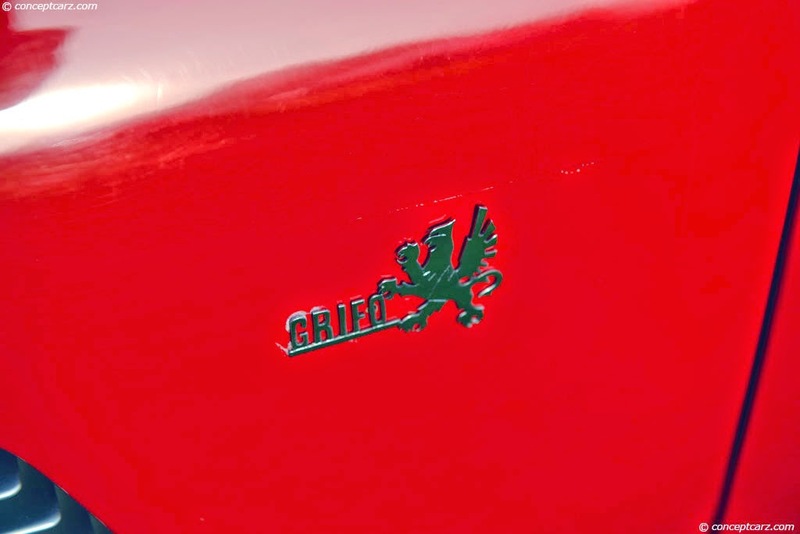 This engine was the only engine Iso used on the Grifos until 1974. 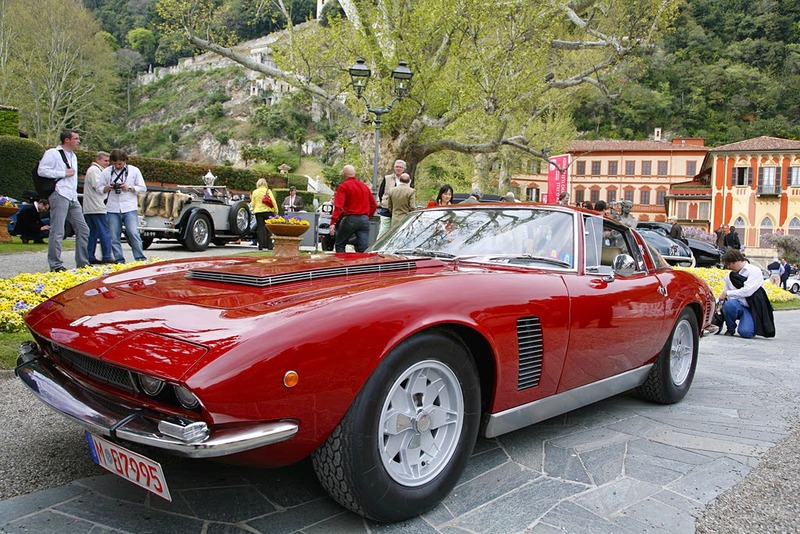 This was also the final version of the Iso Grifos. 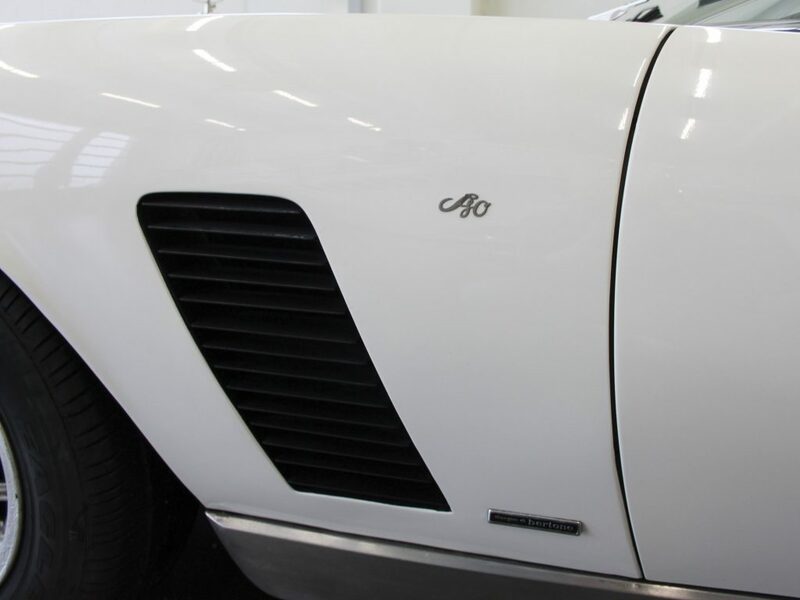 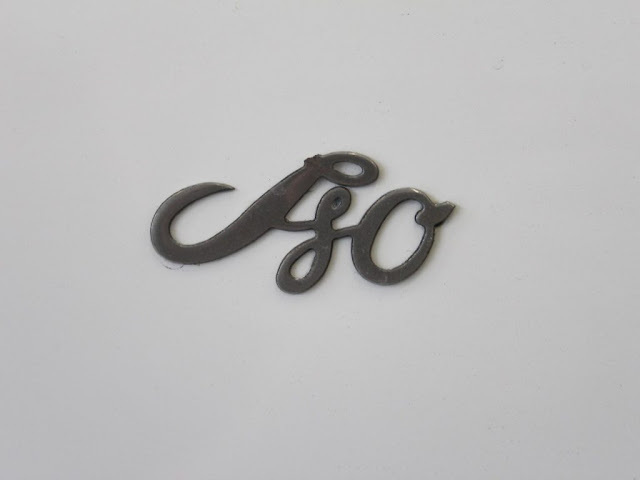 Iso S.p.A. closed its doors in 1974 during the oil crisis. 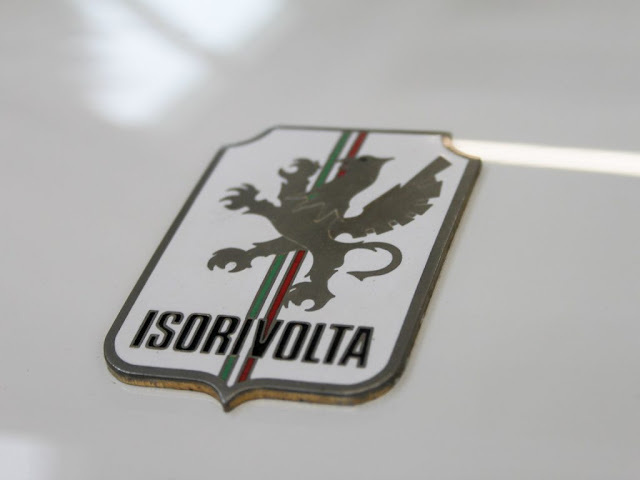 producing 390 hp, although they are not as fast as the 435 hp Series 1 7 Litris. Powered by small-block Ford Boss 351 engine producing 365 hp.